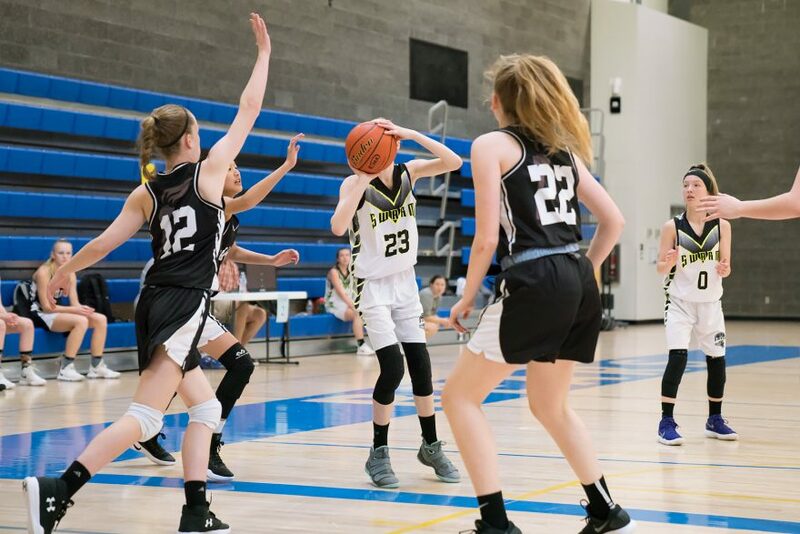 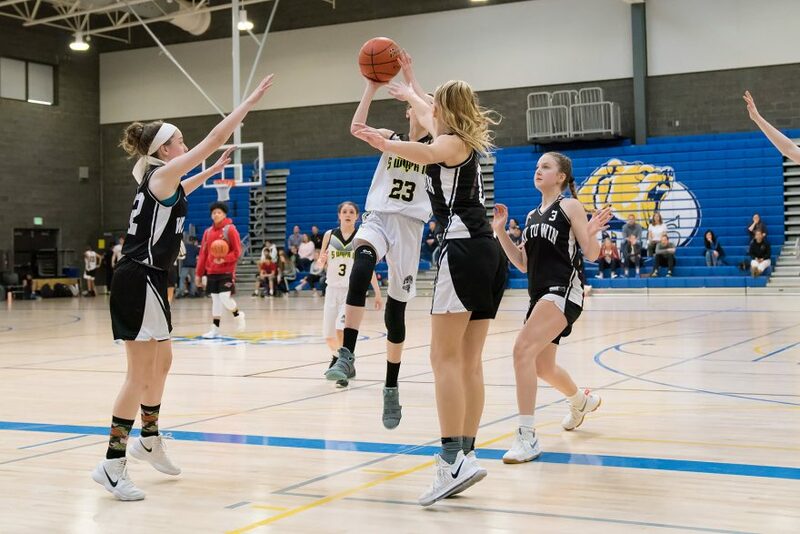 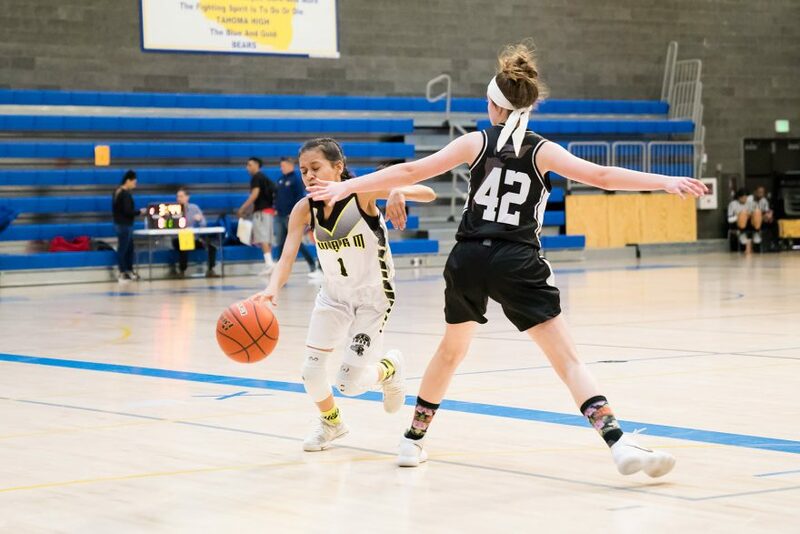 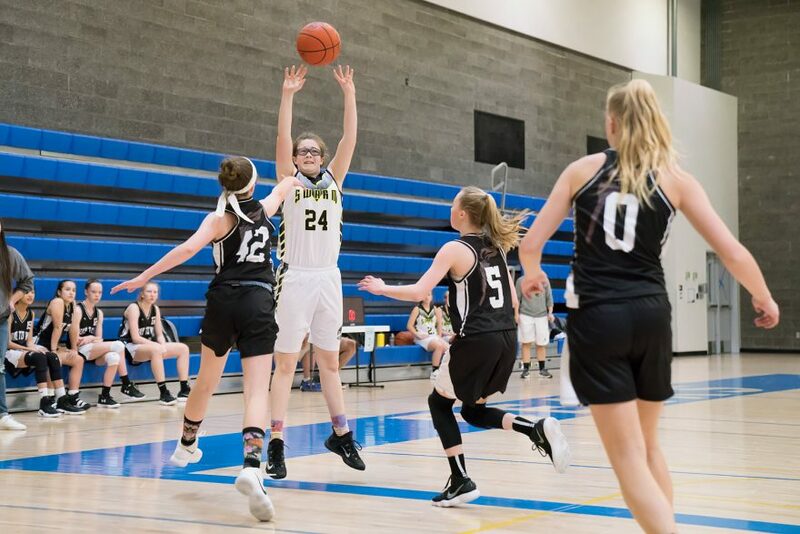 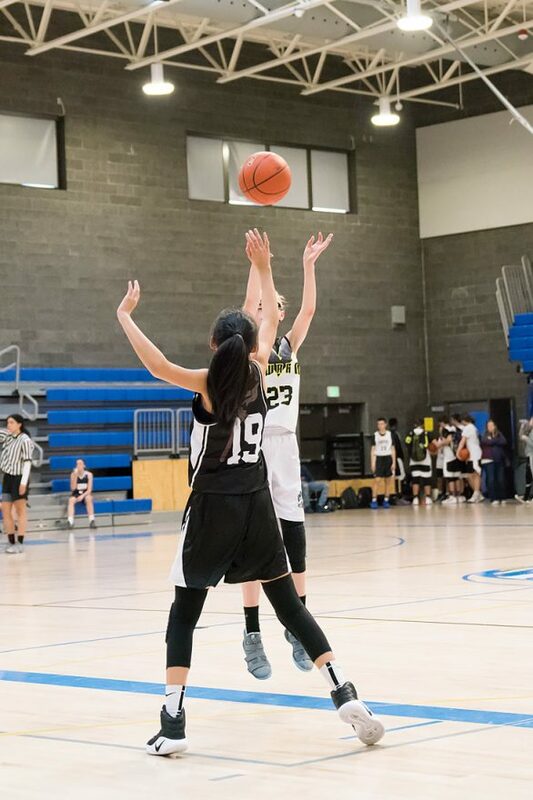 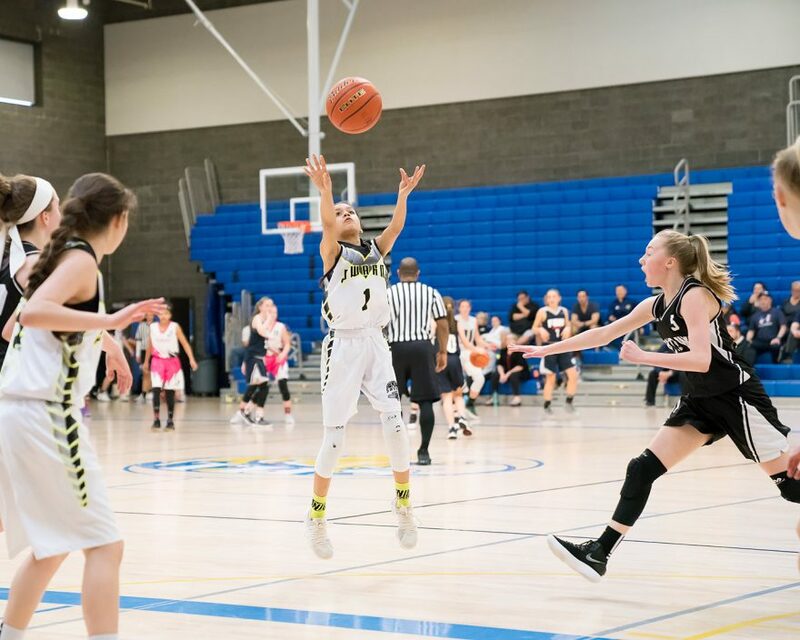 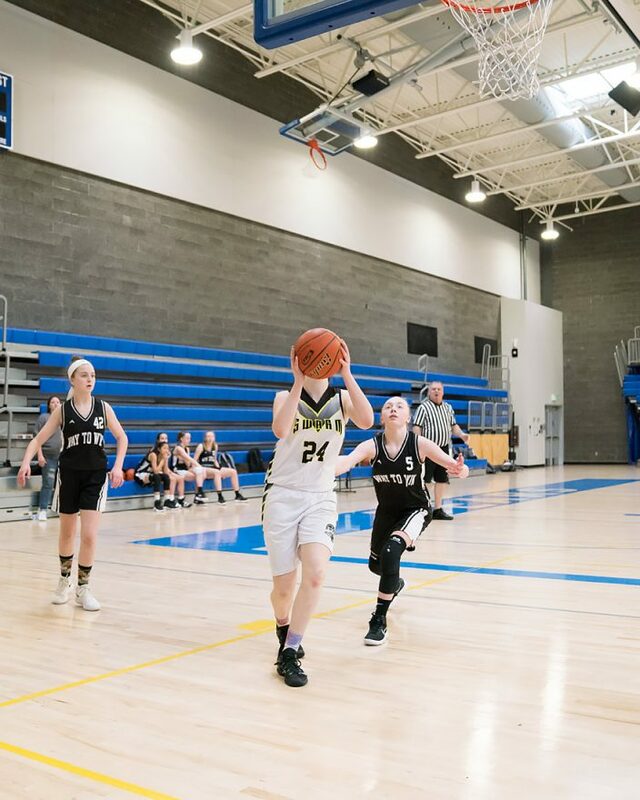 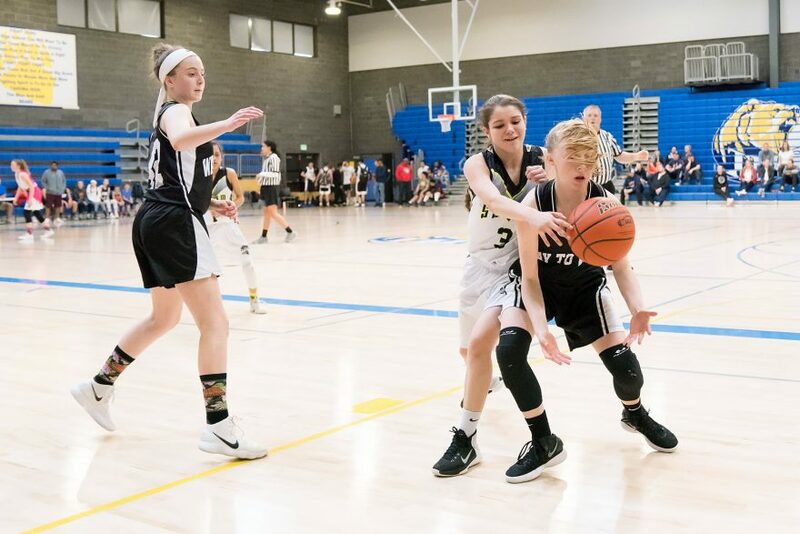 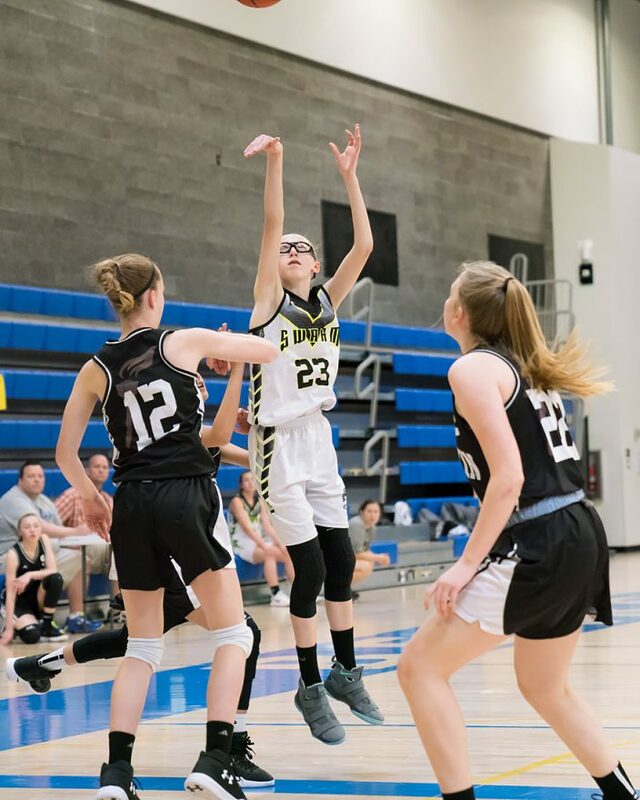 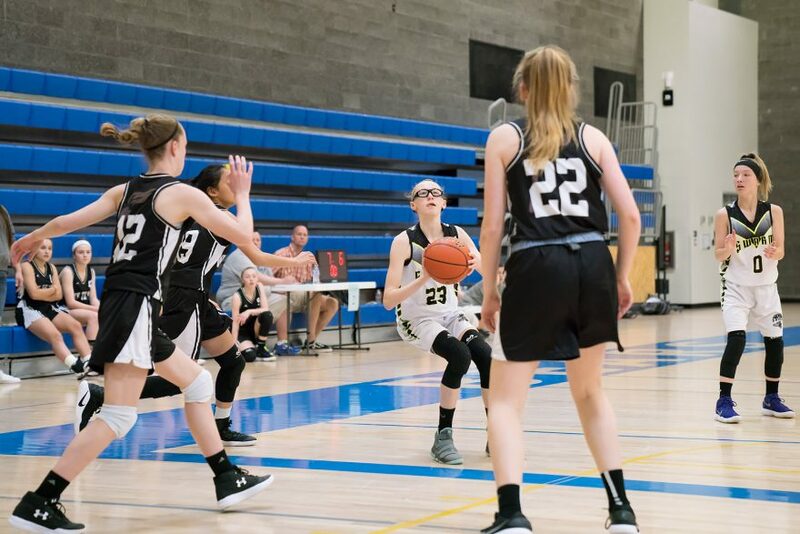 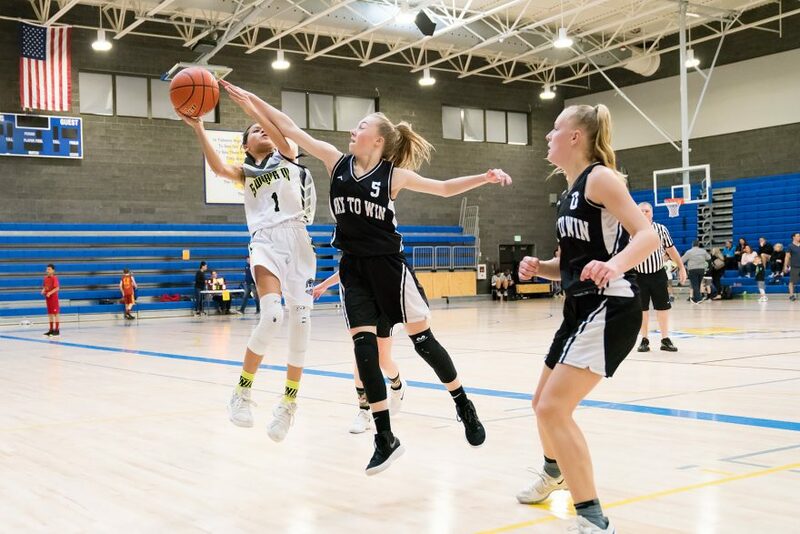 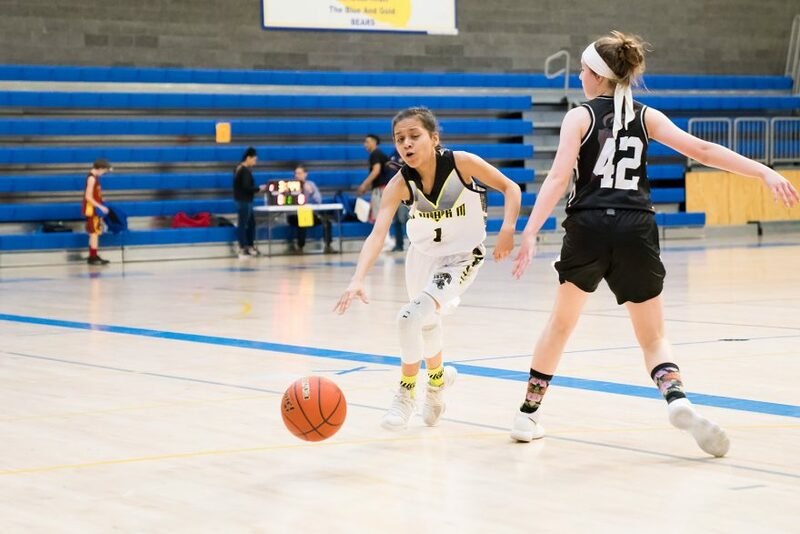 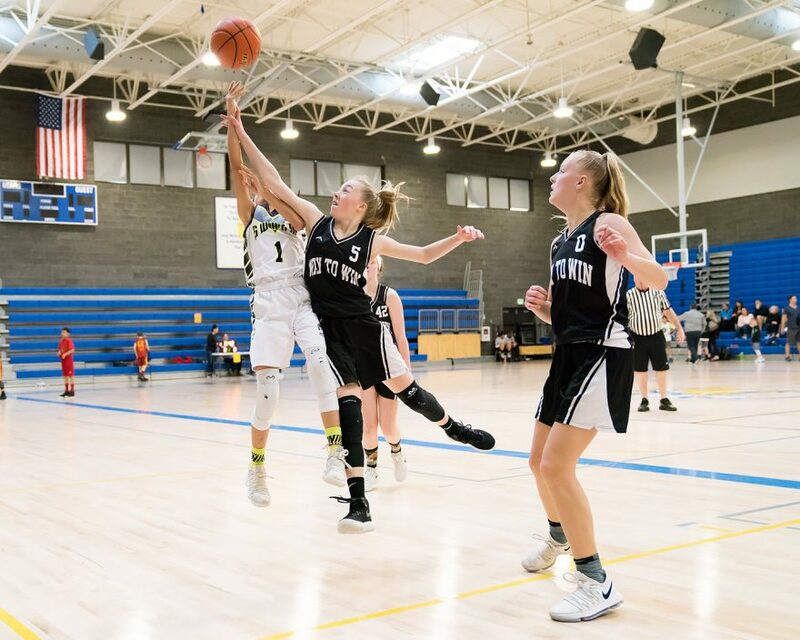 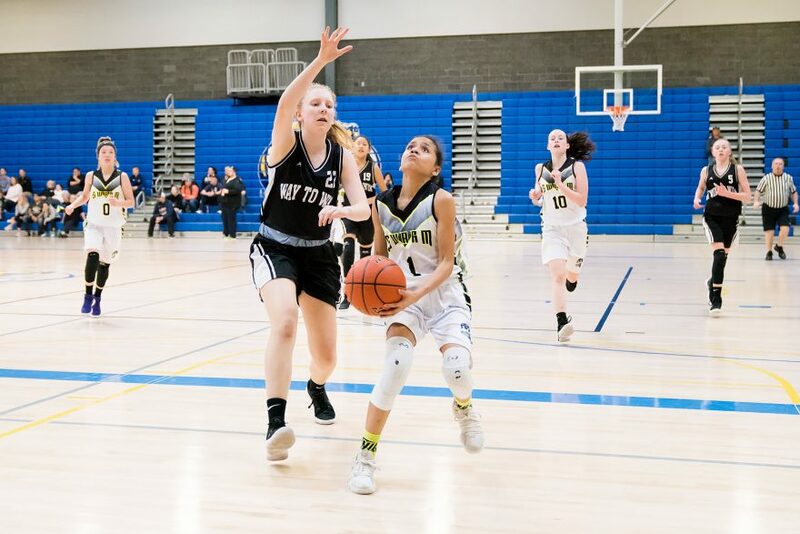 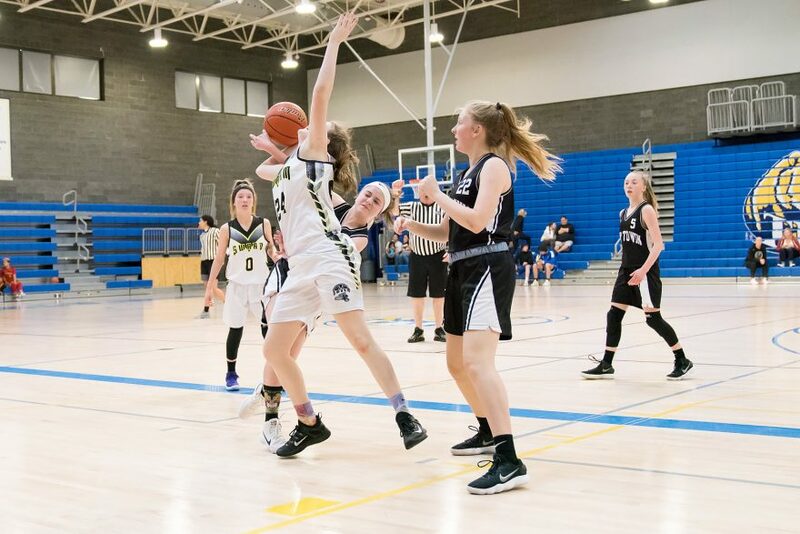 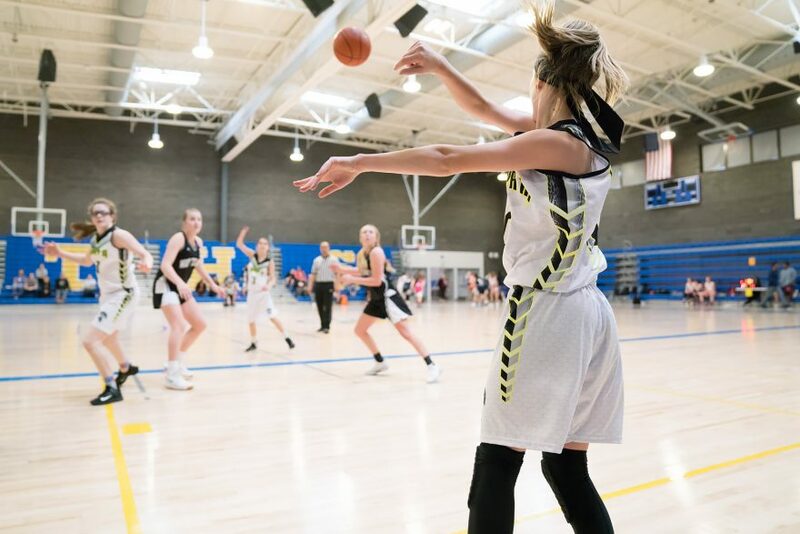 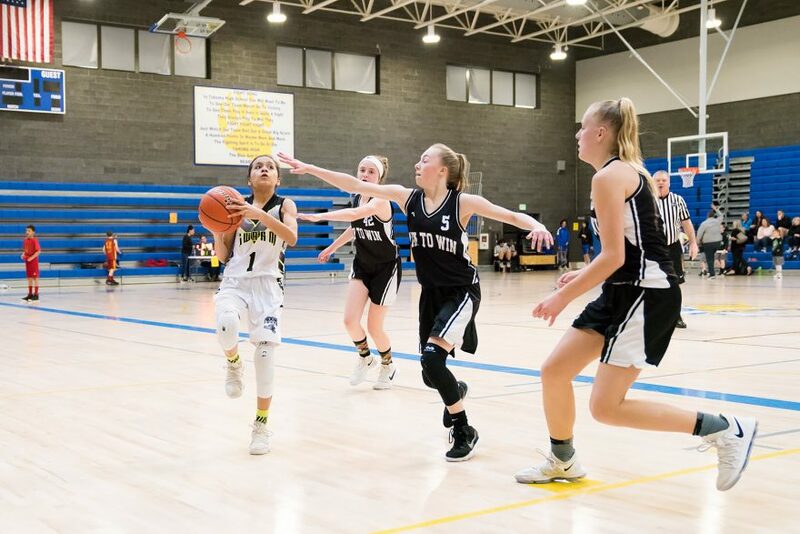 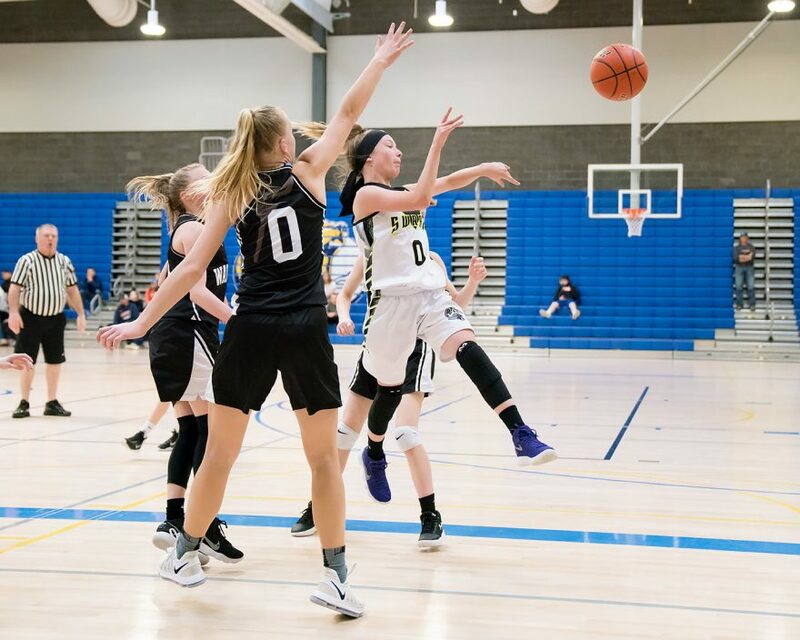 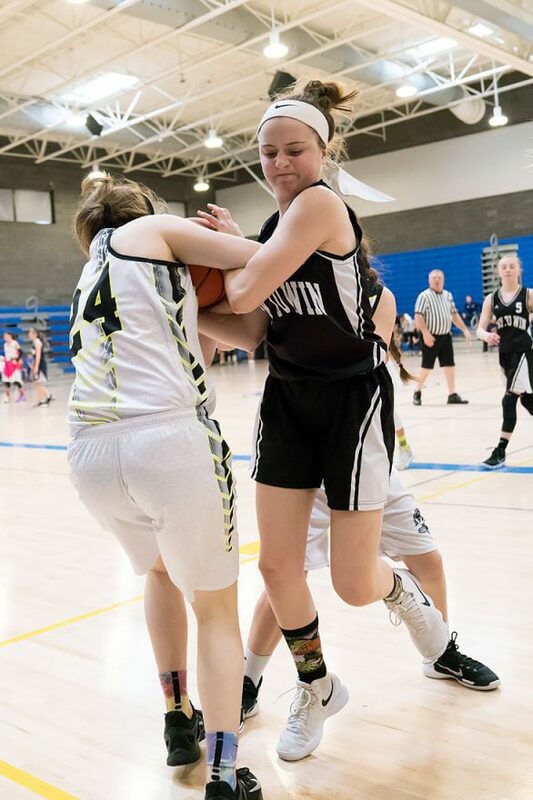 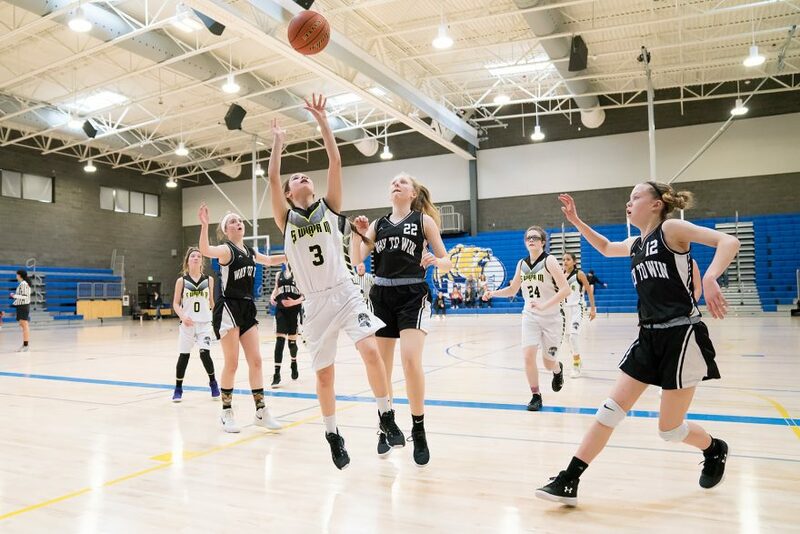 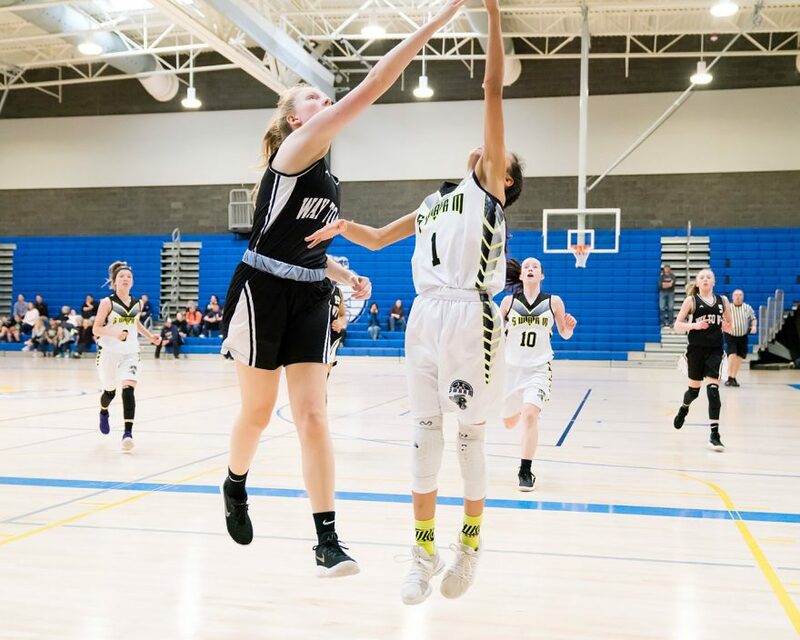 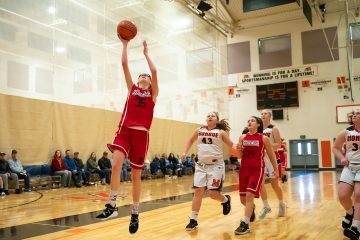 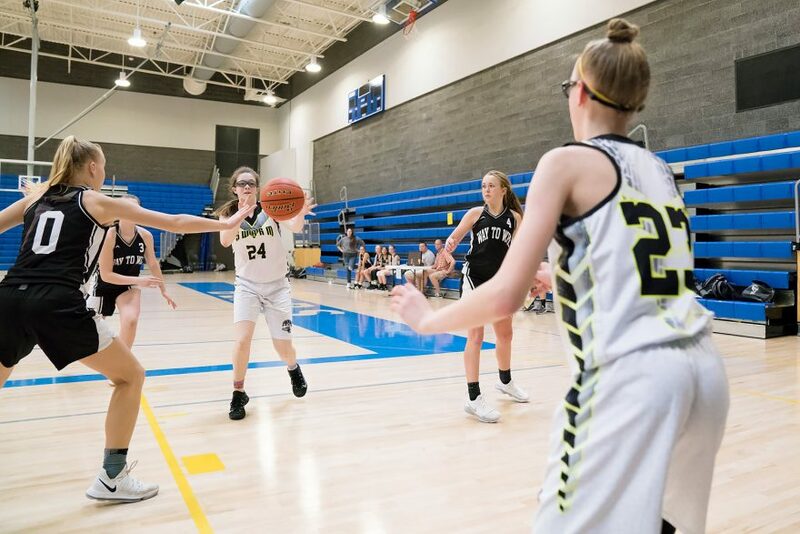 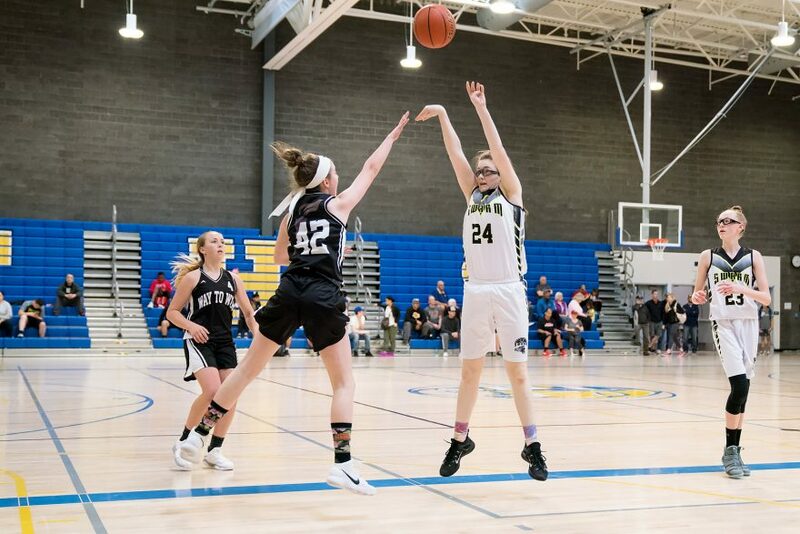 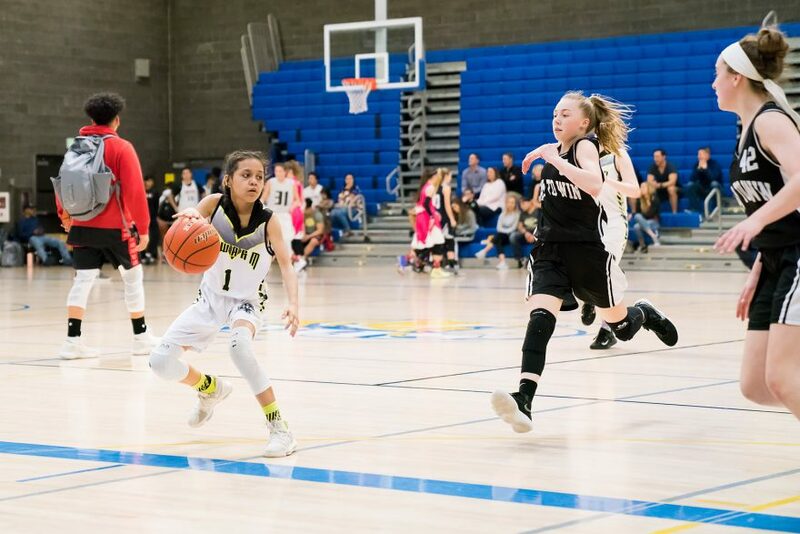 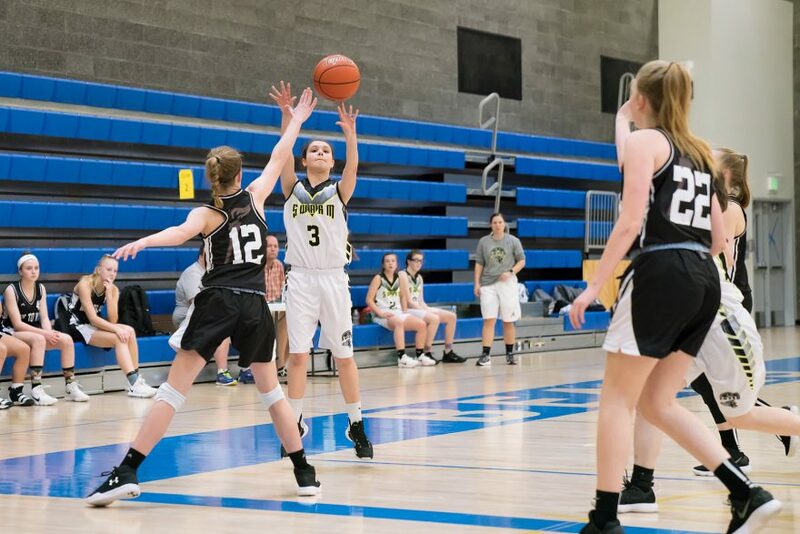 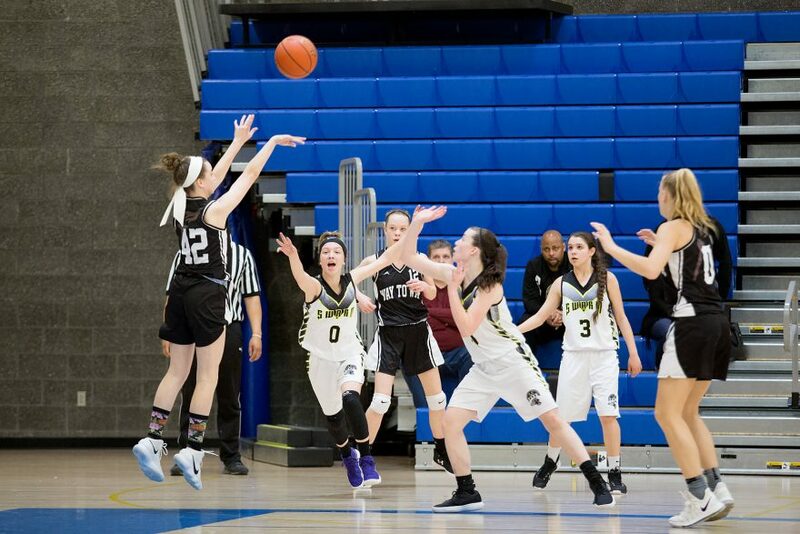 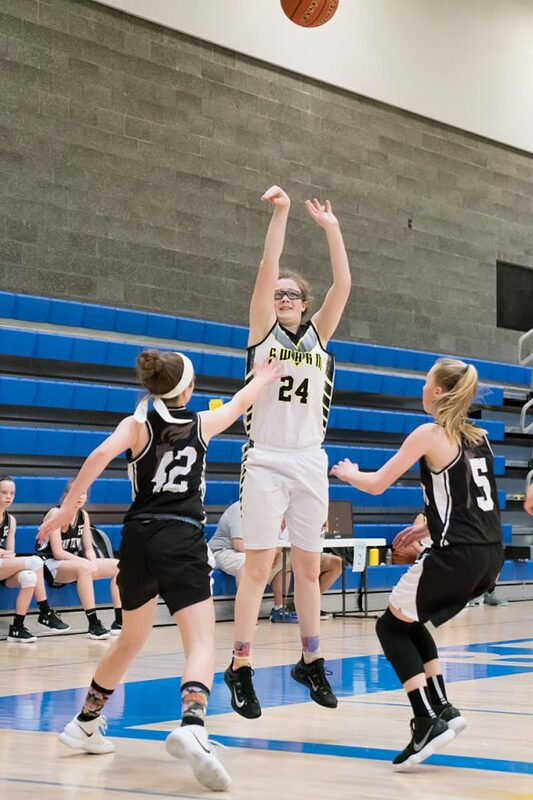 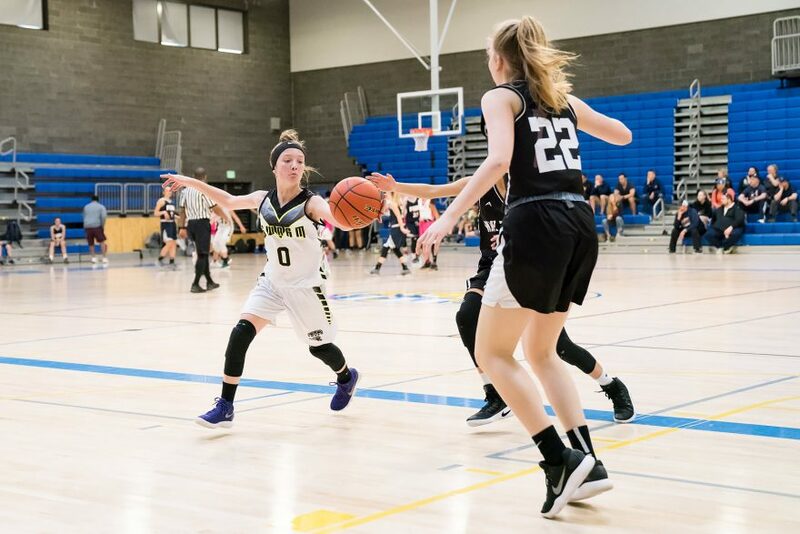 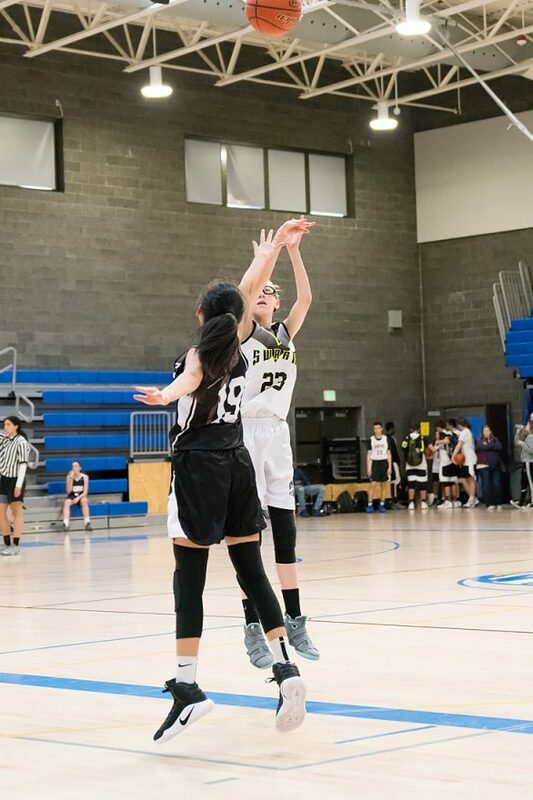 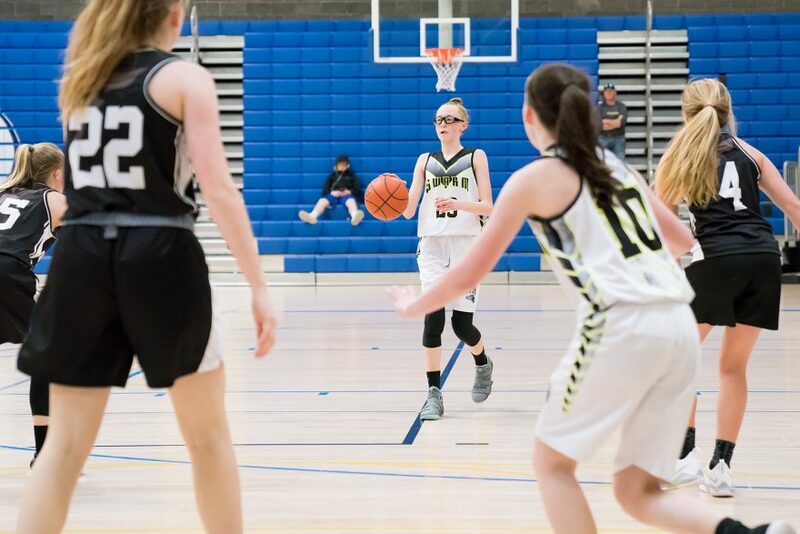 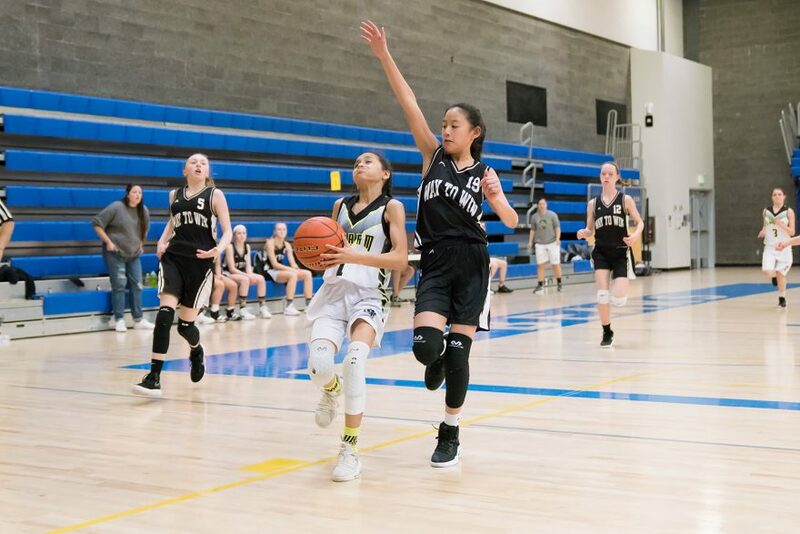 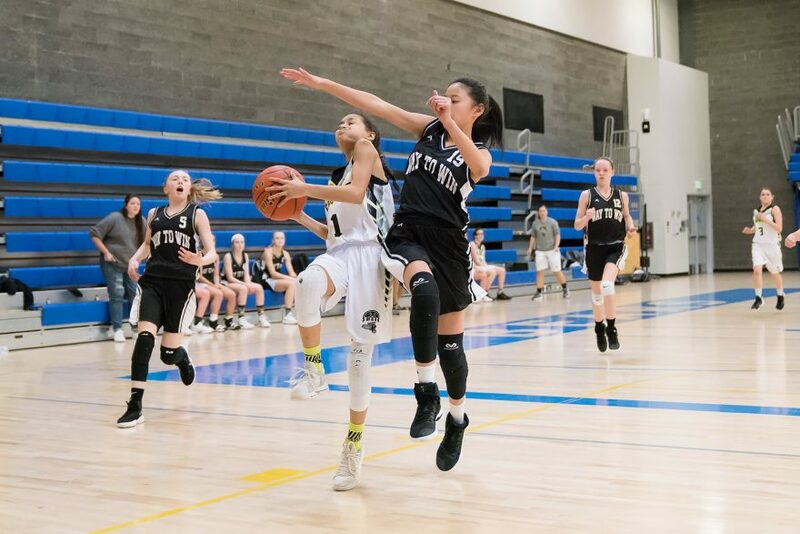 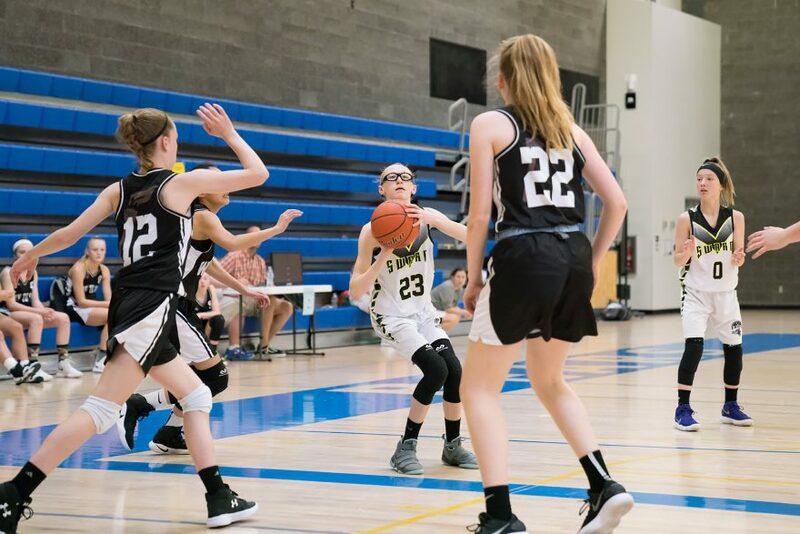 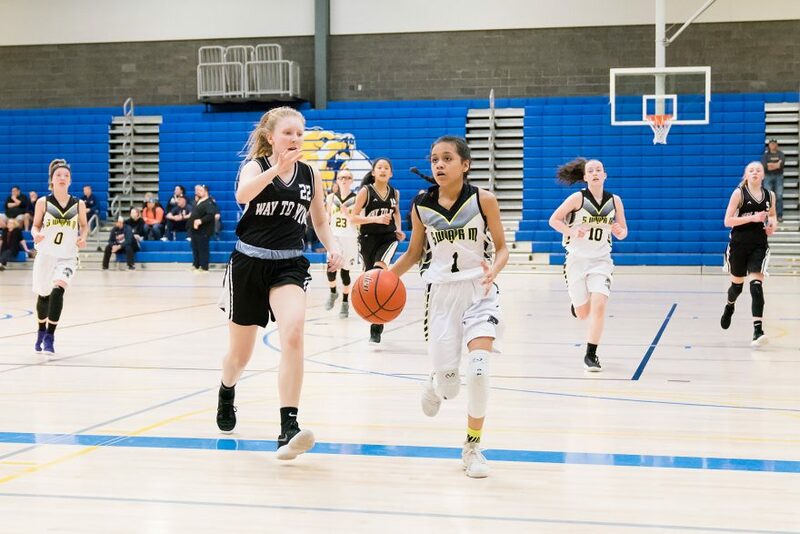 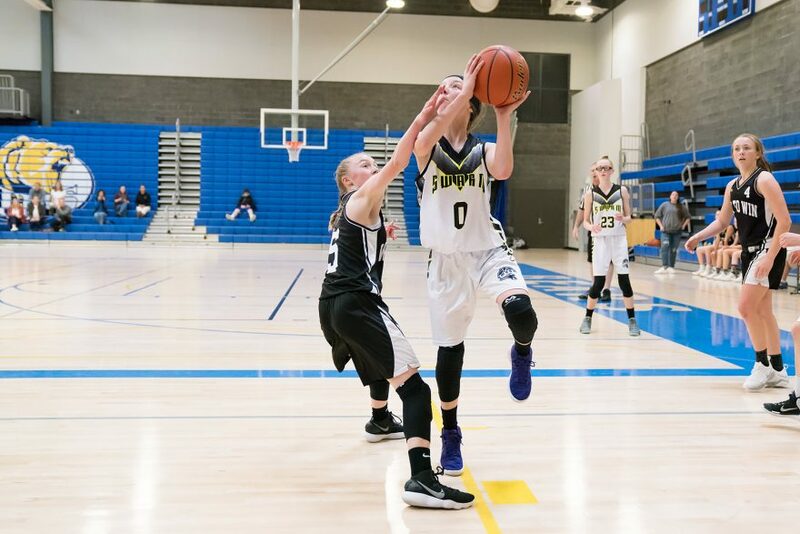 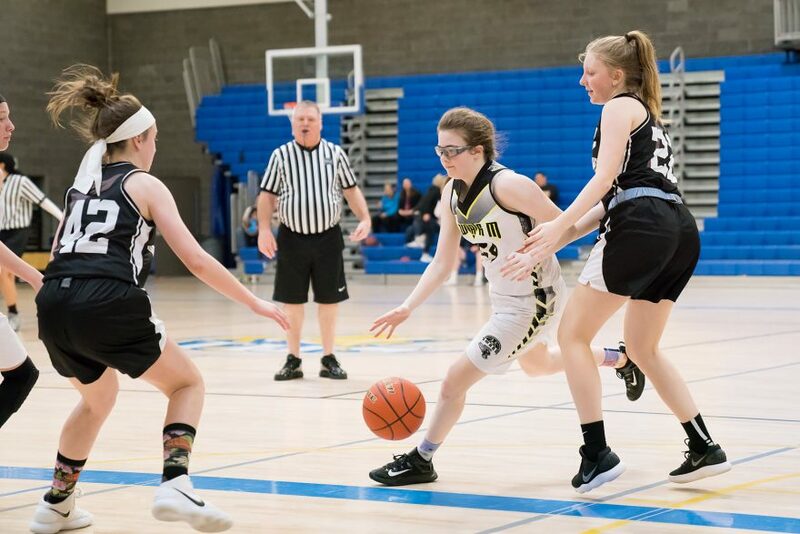 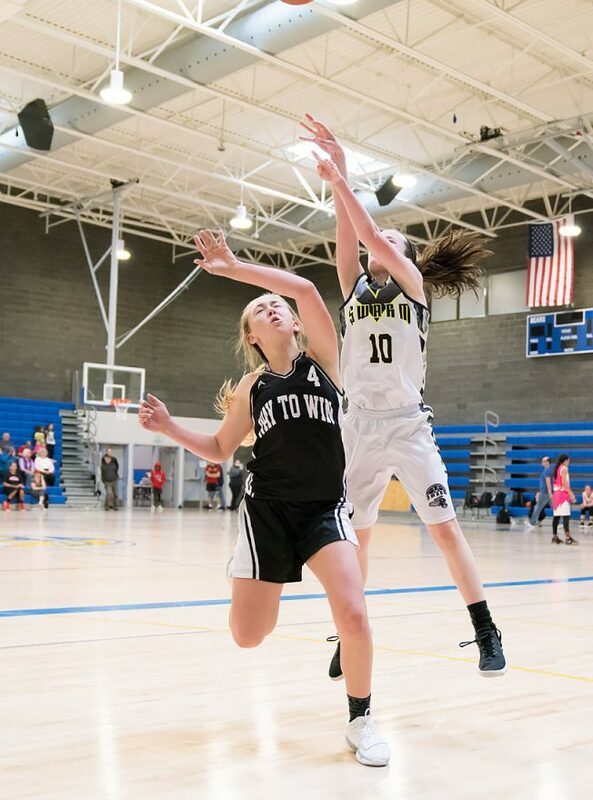 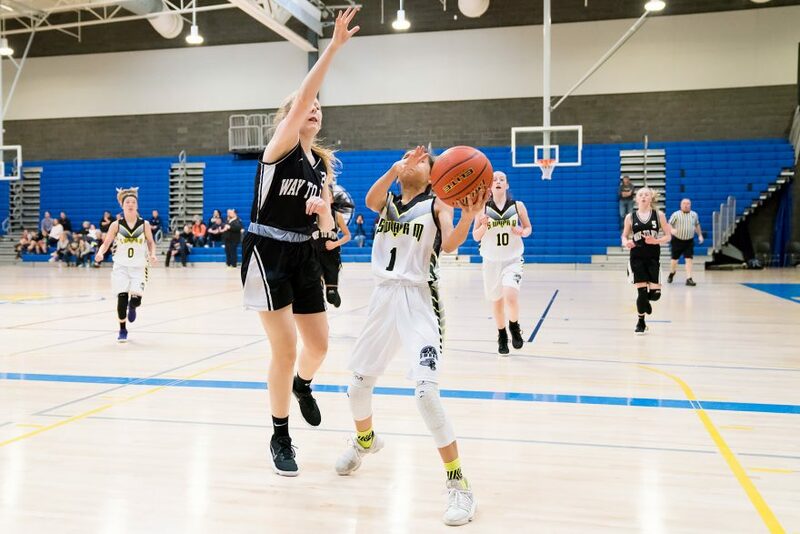 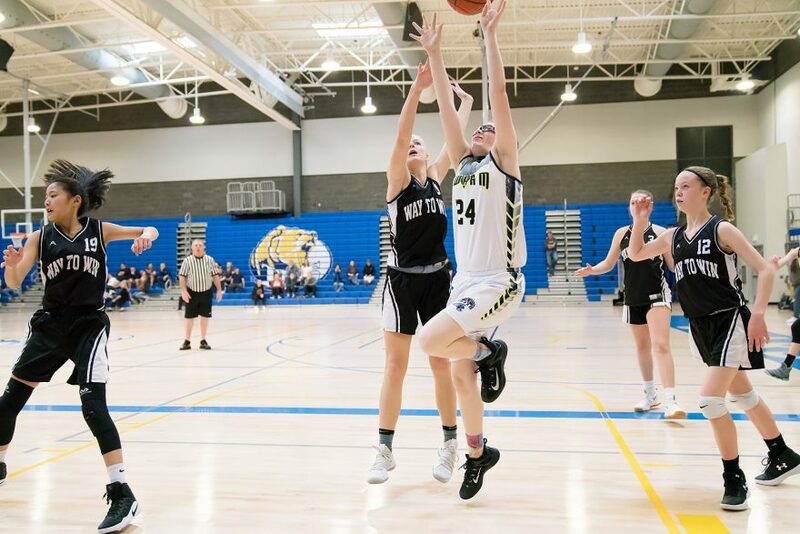 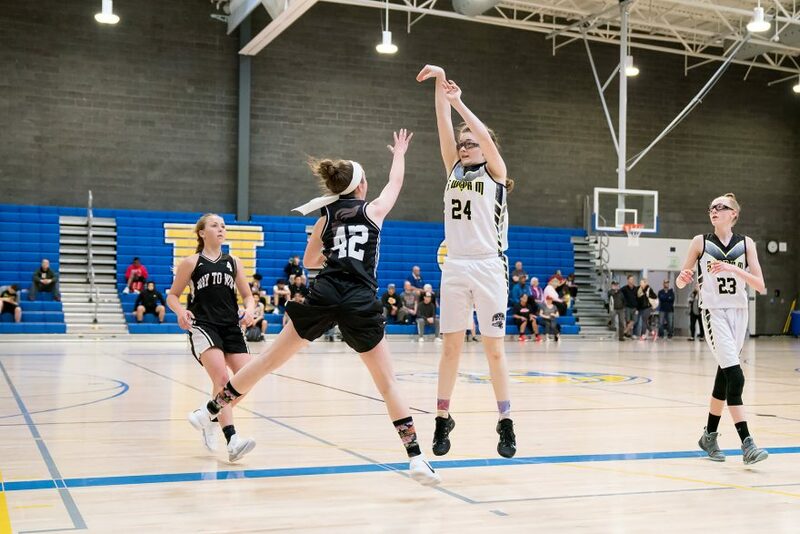 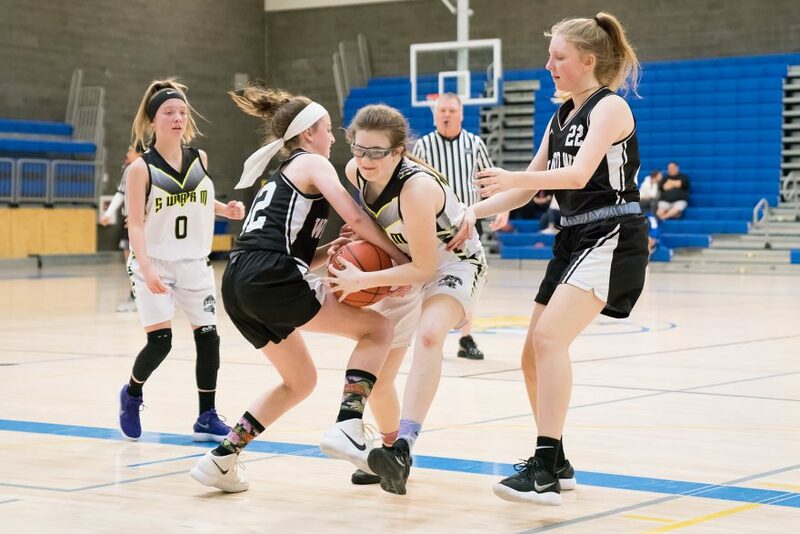 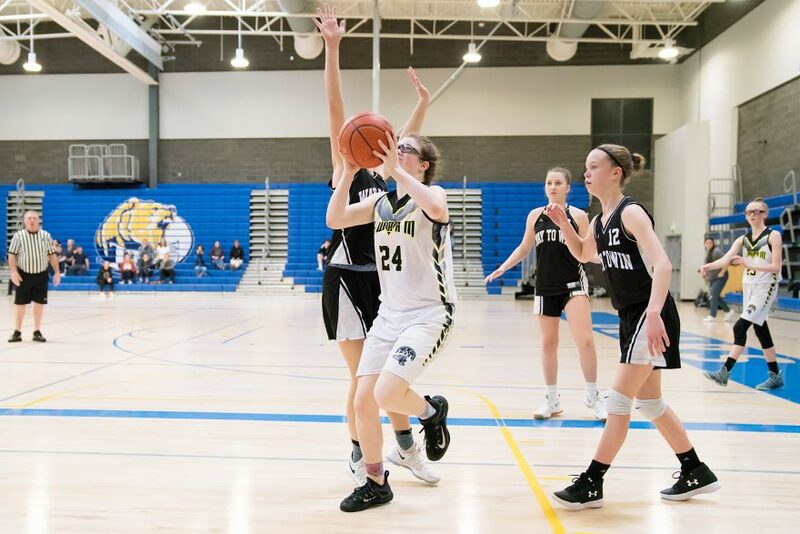 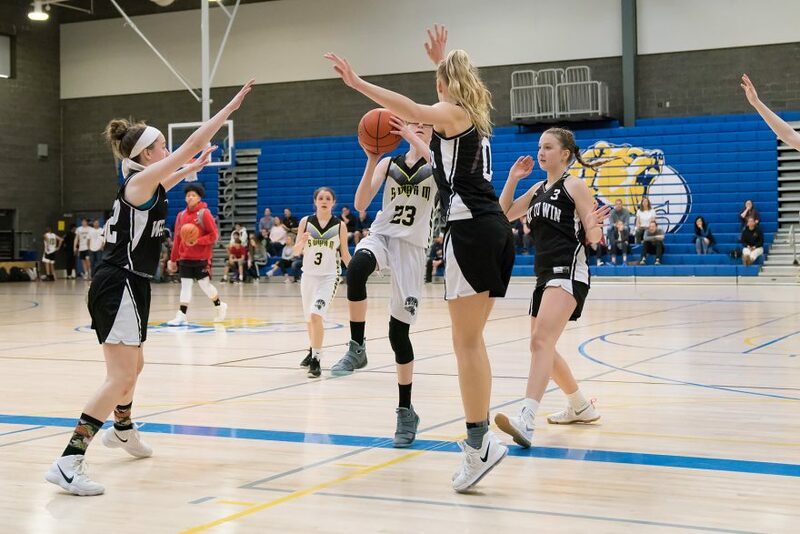 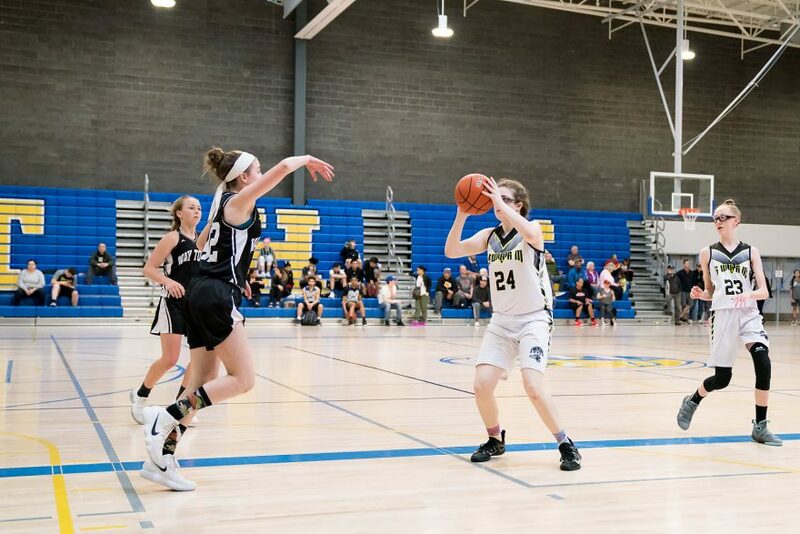 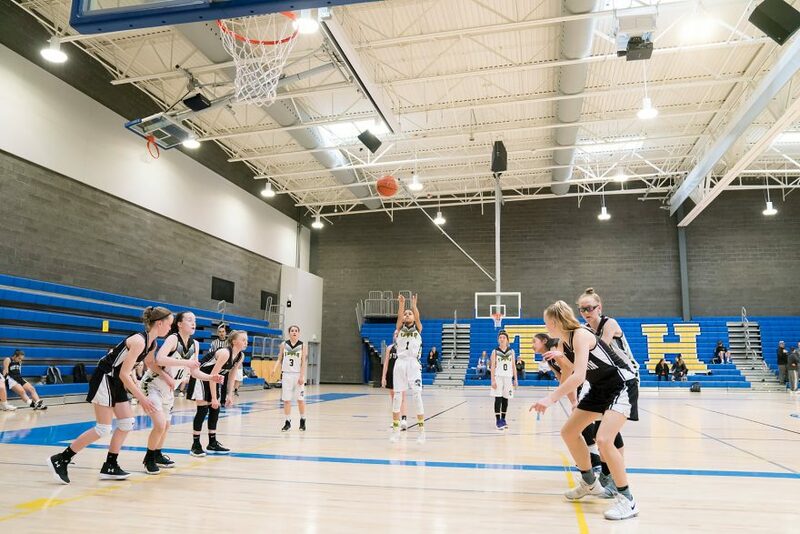 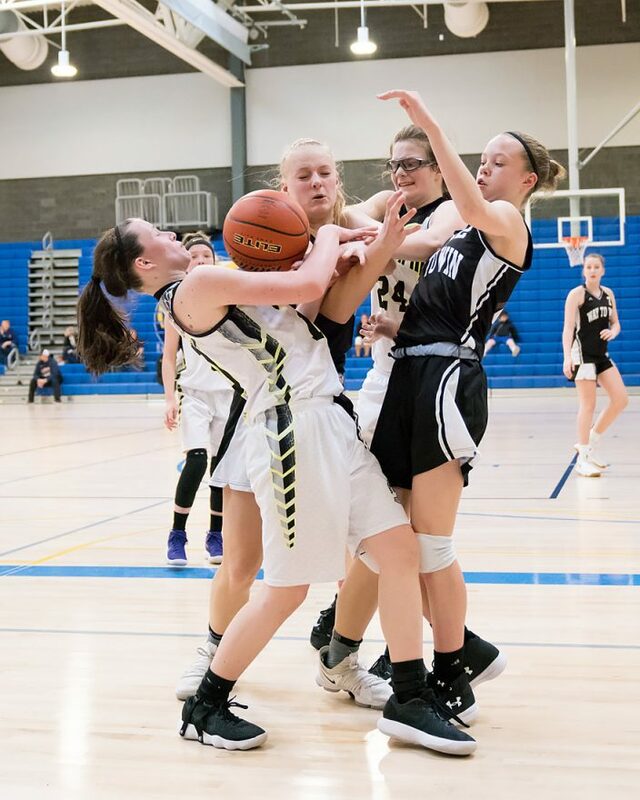 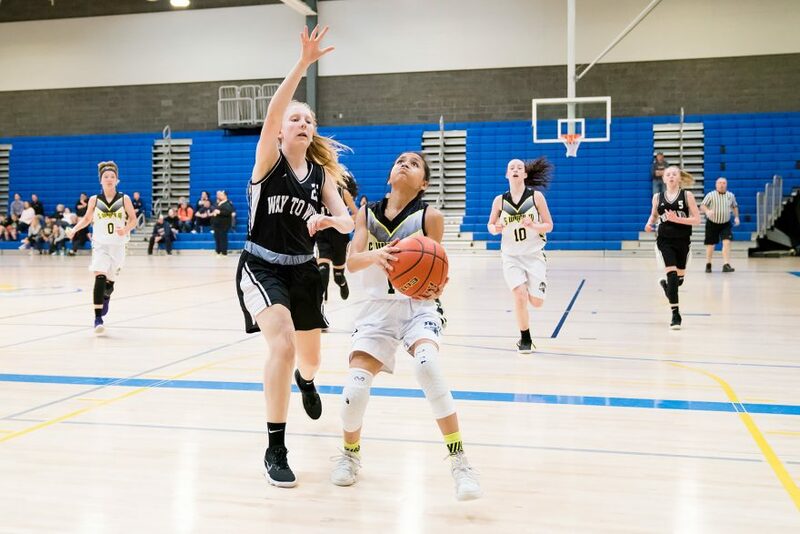 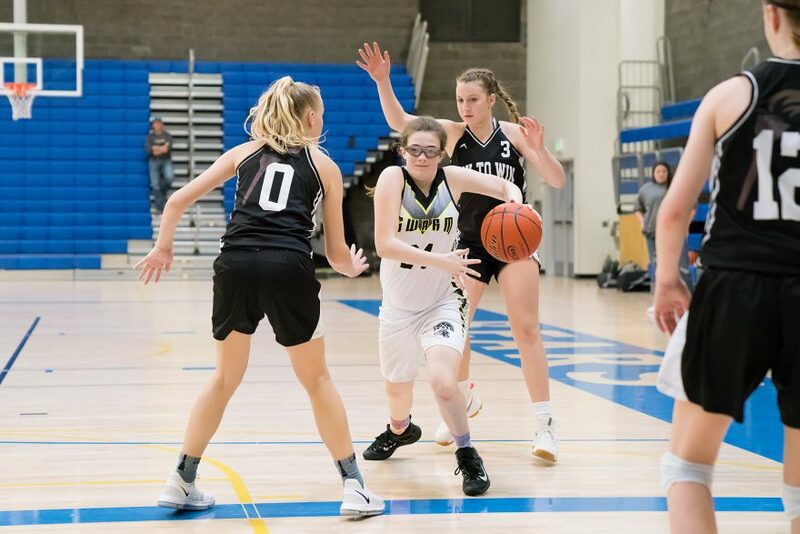 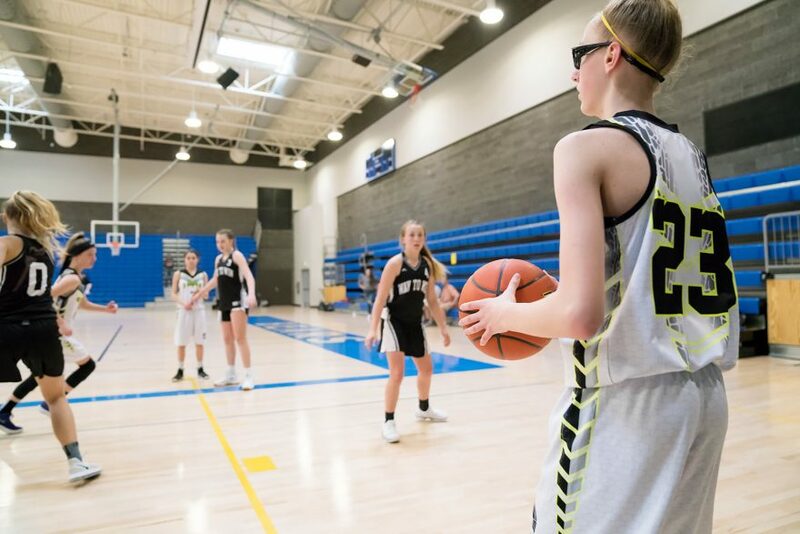 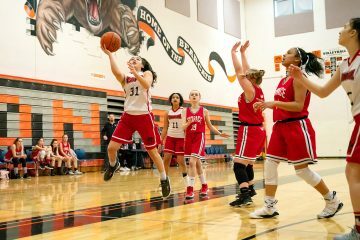 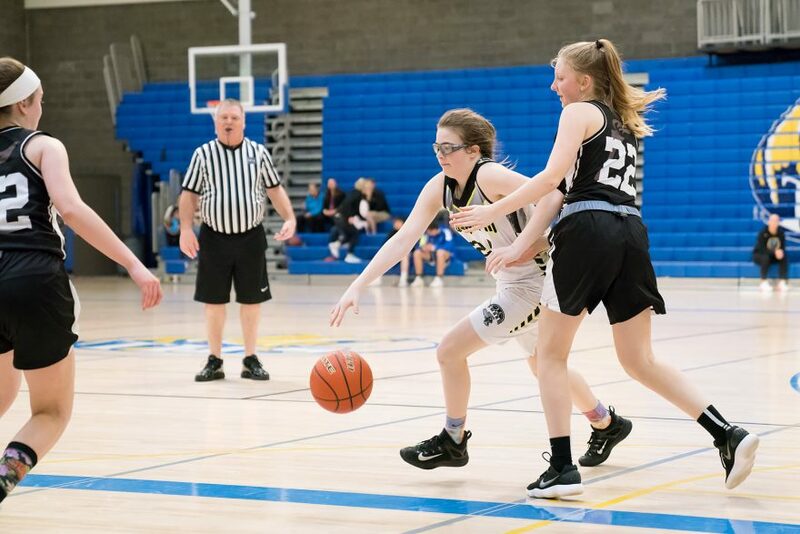 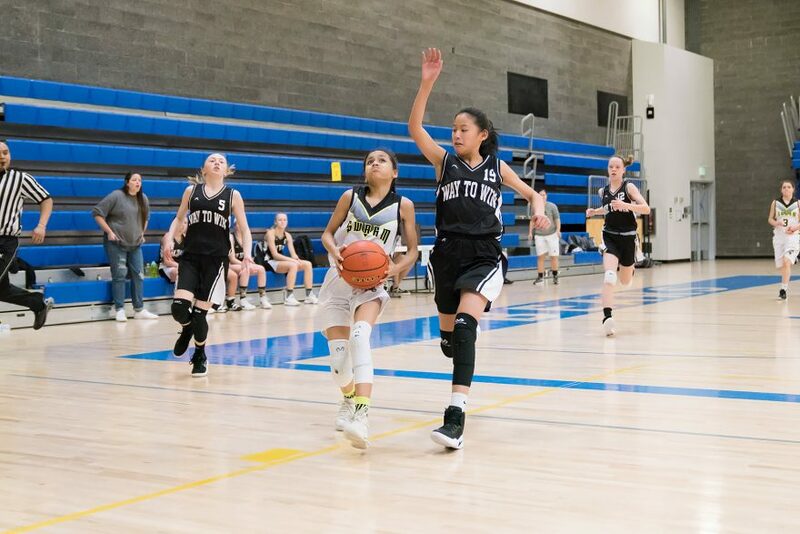 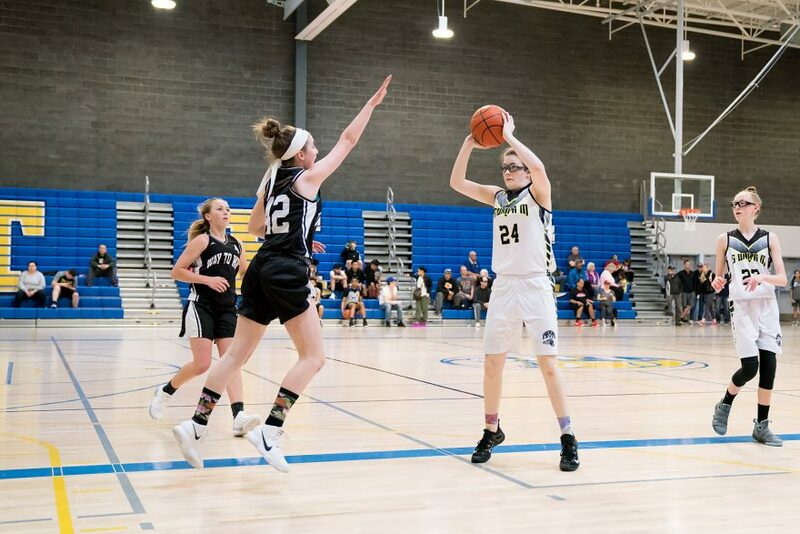 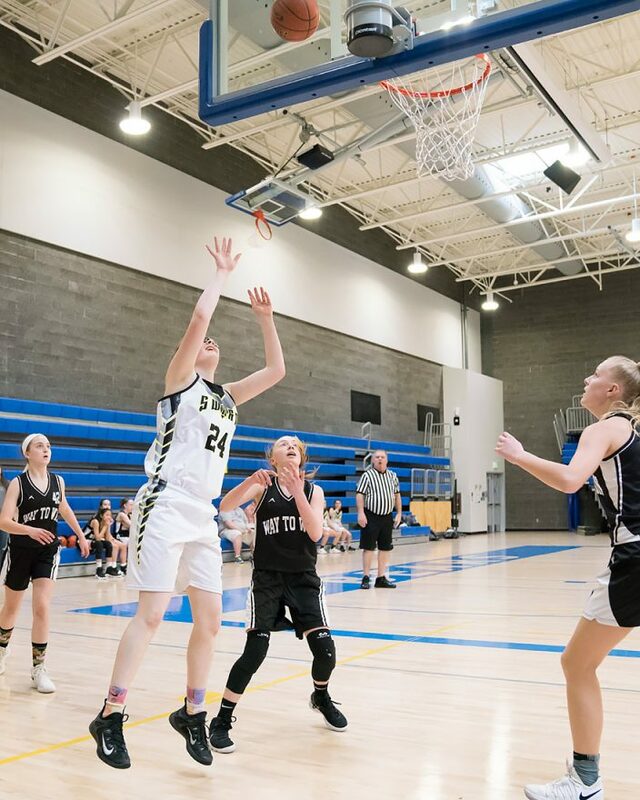 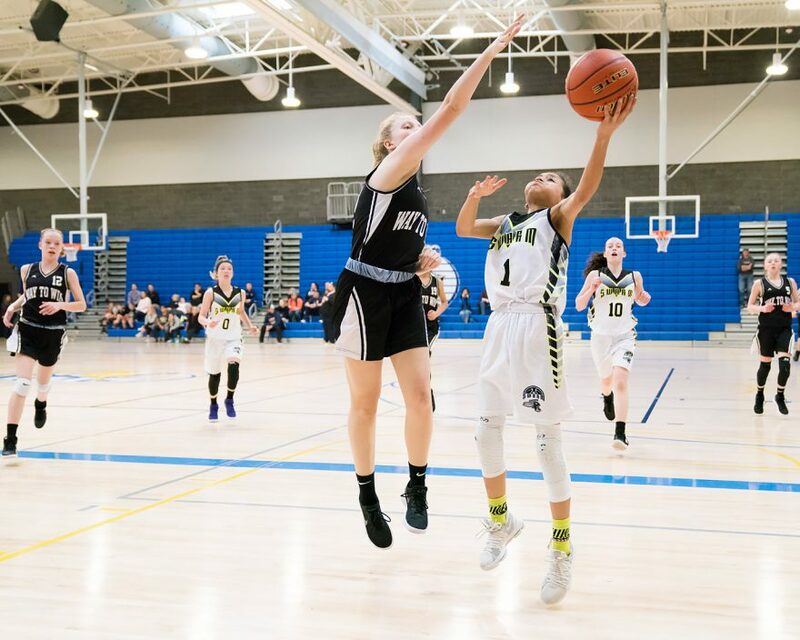 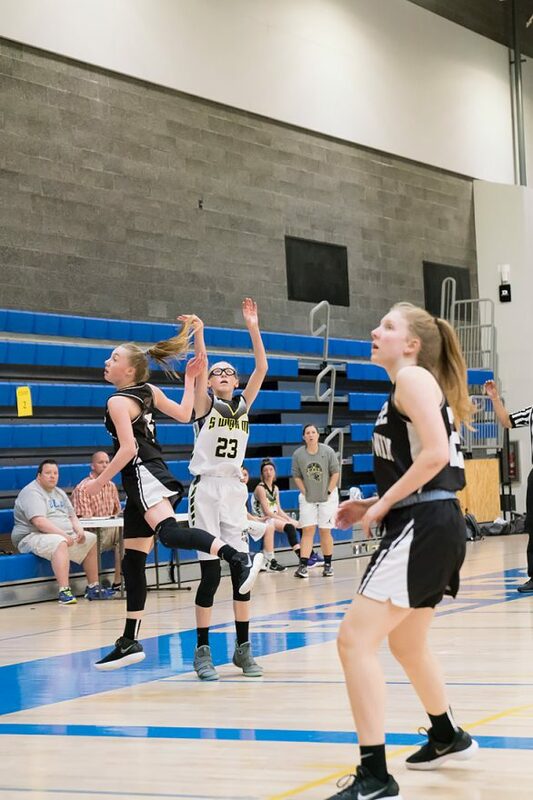 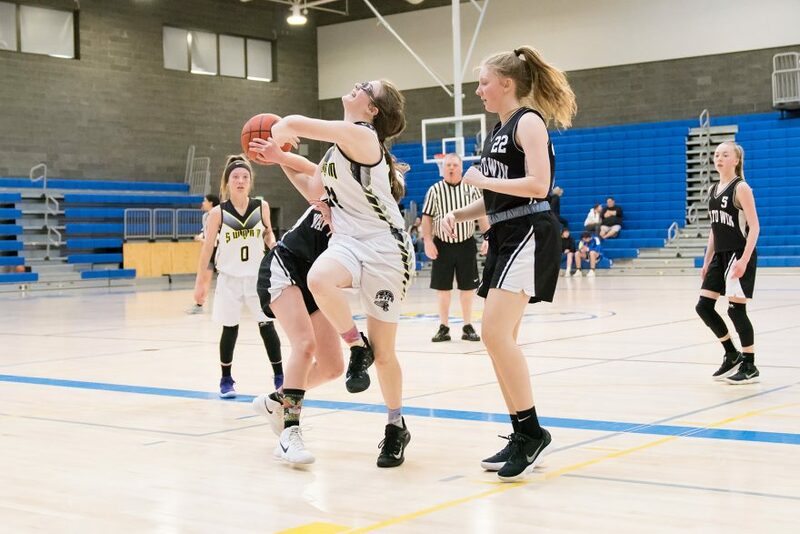 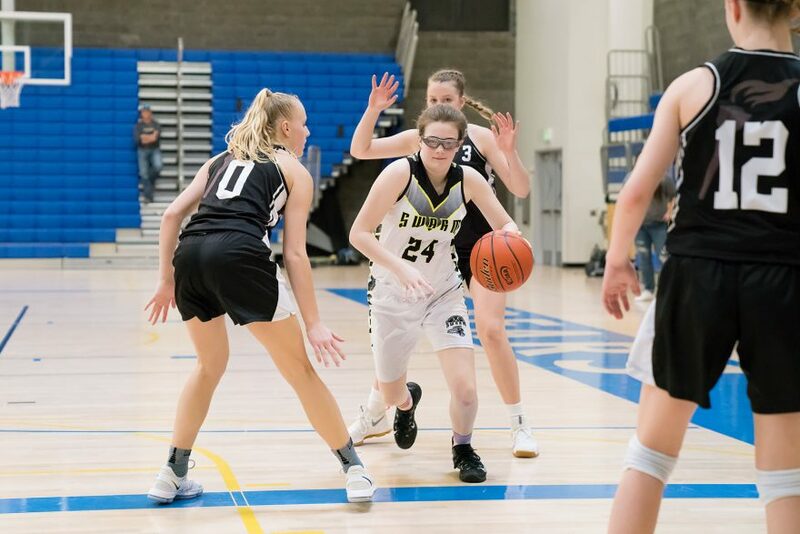 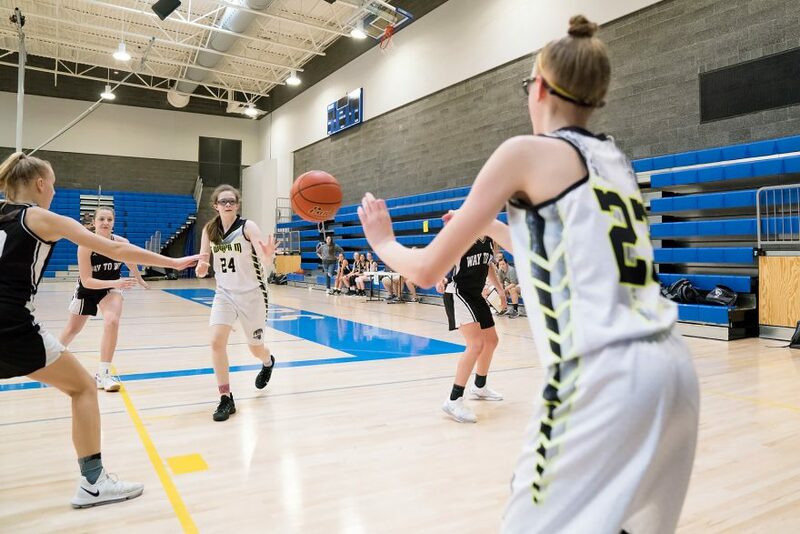 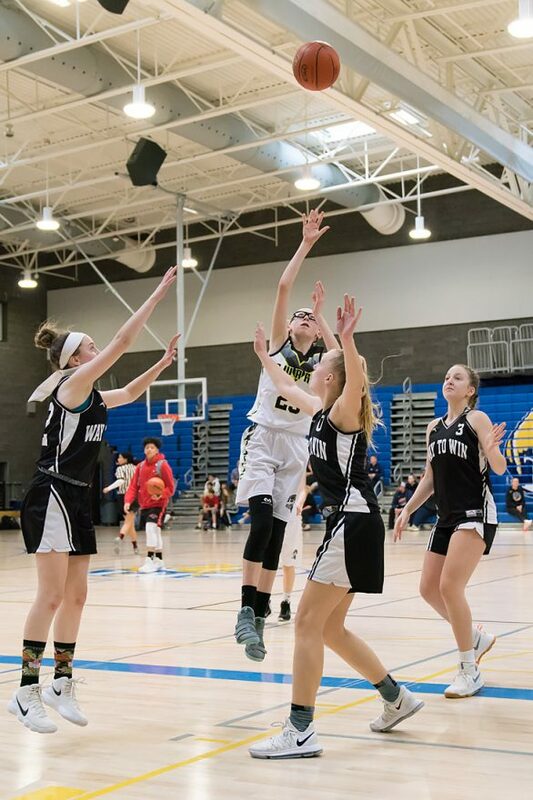 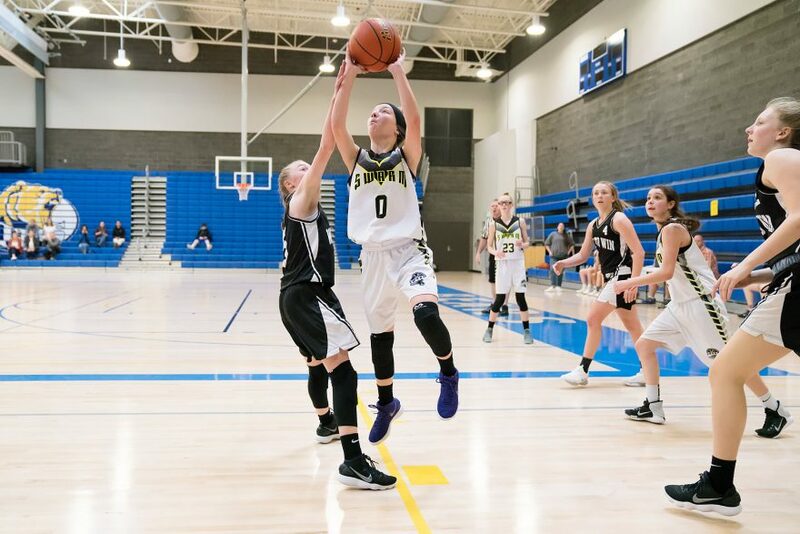 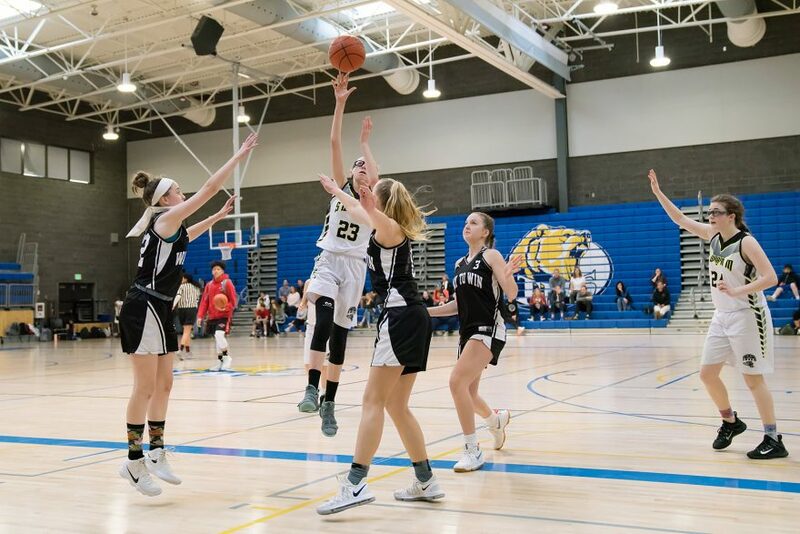 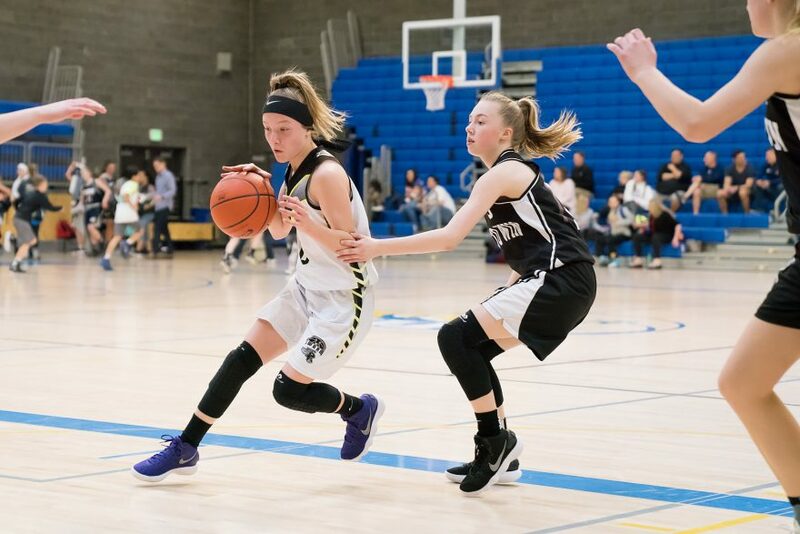 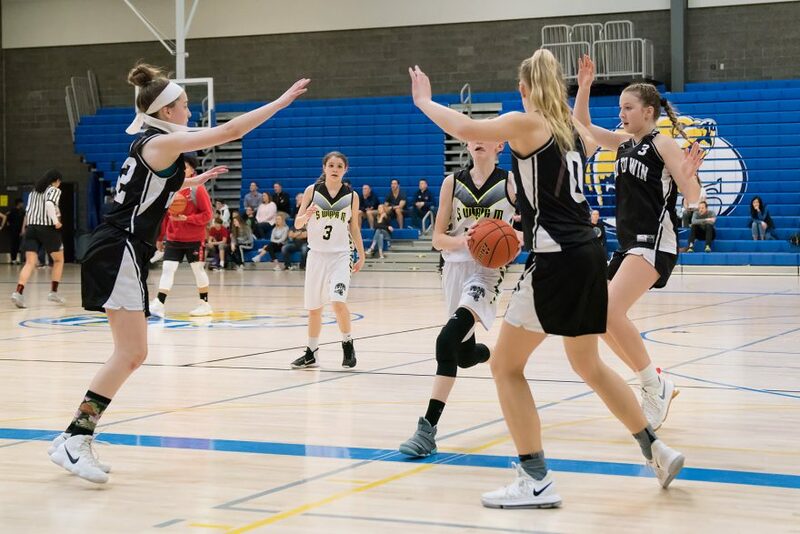 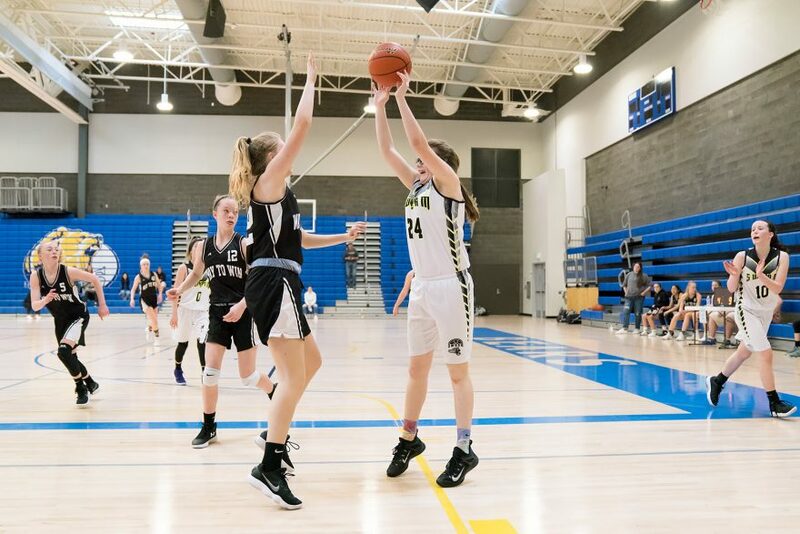 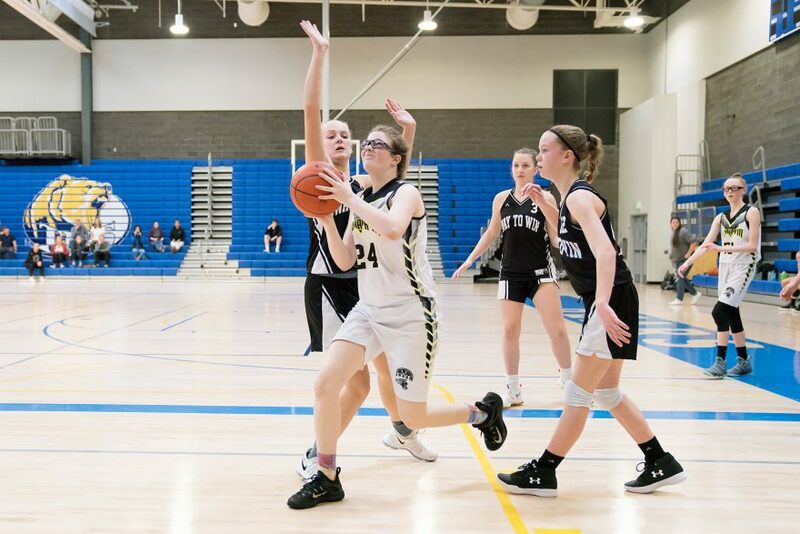 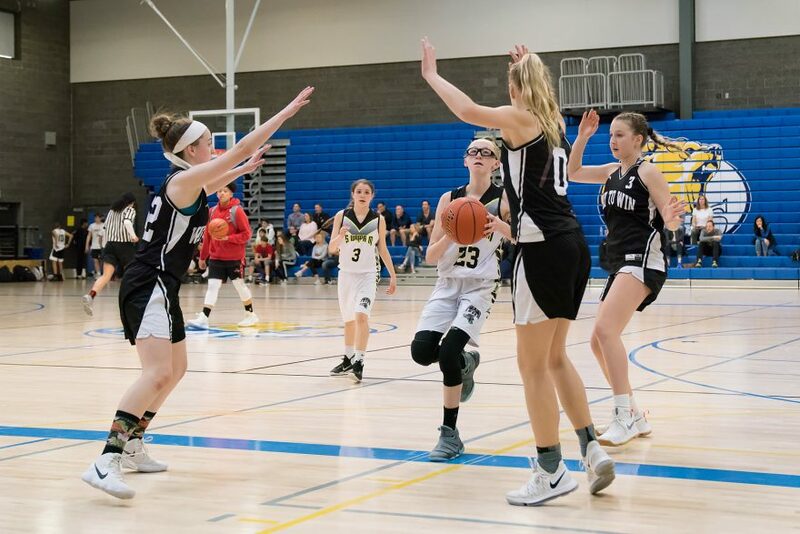 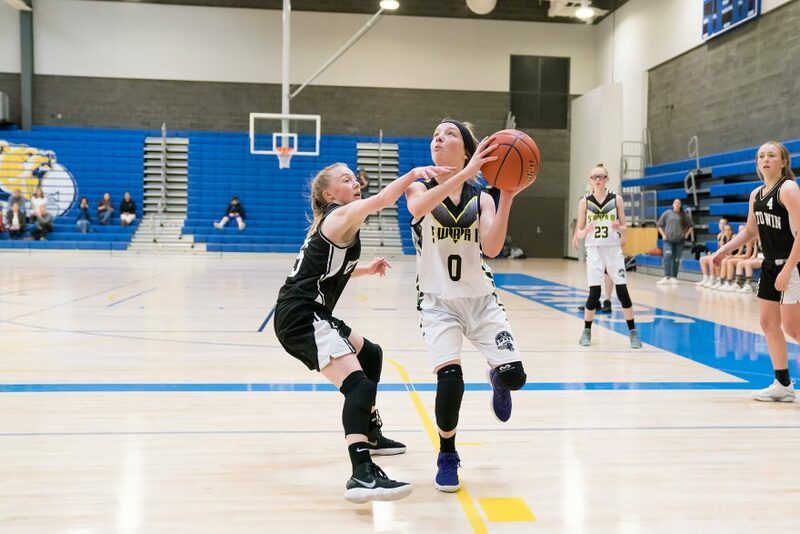 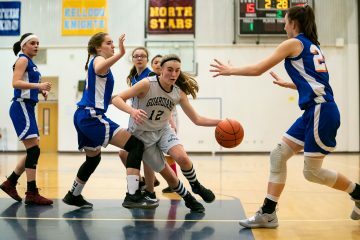 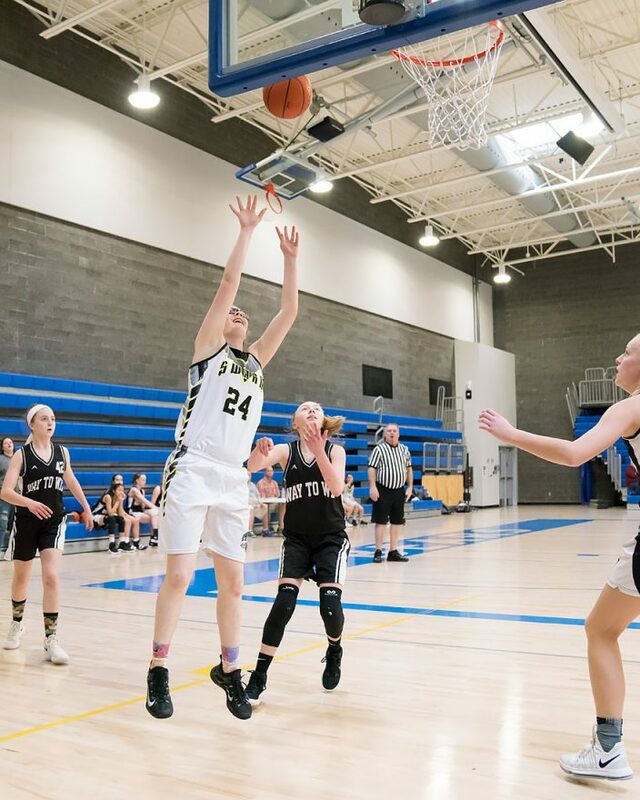 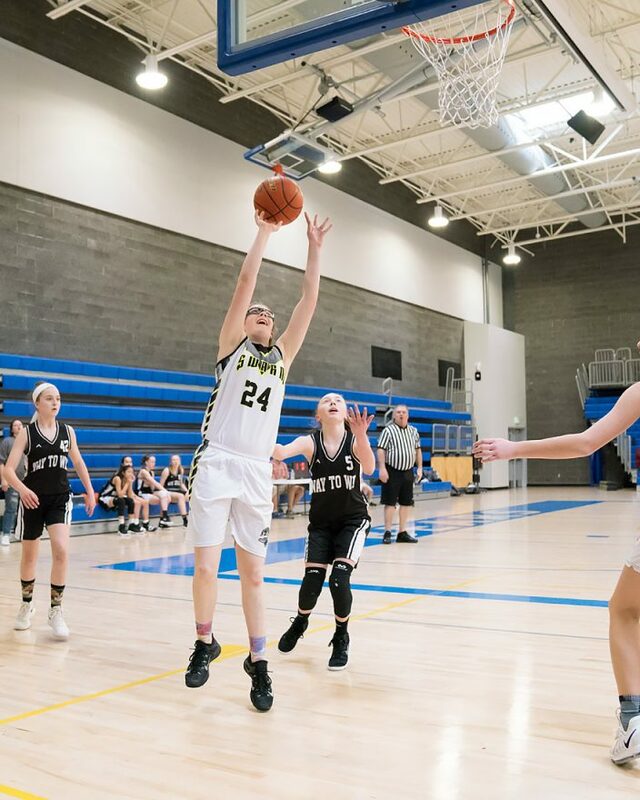 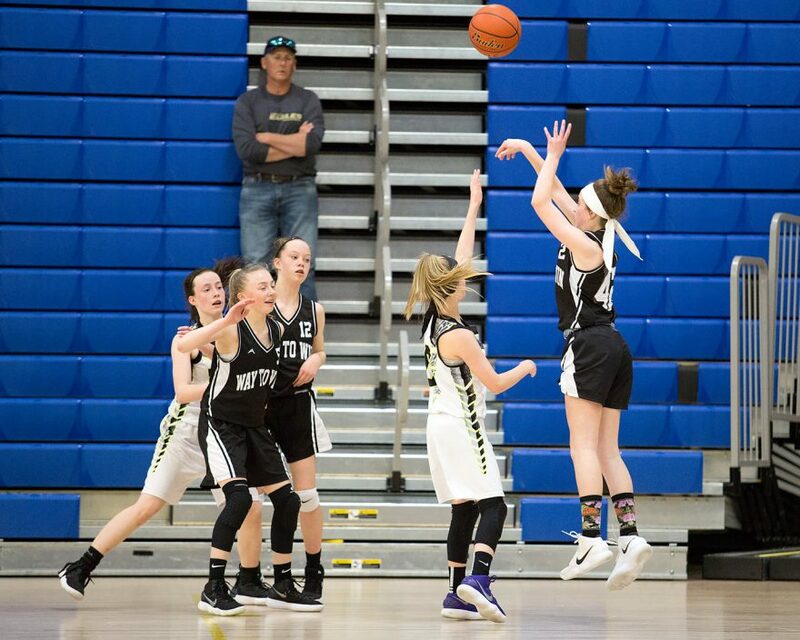 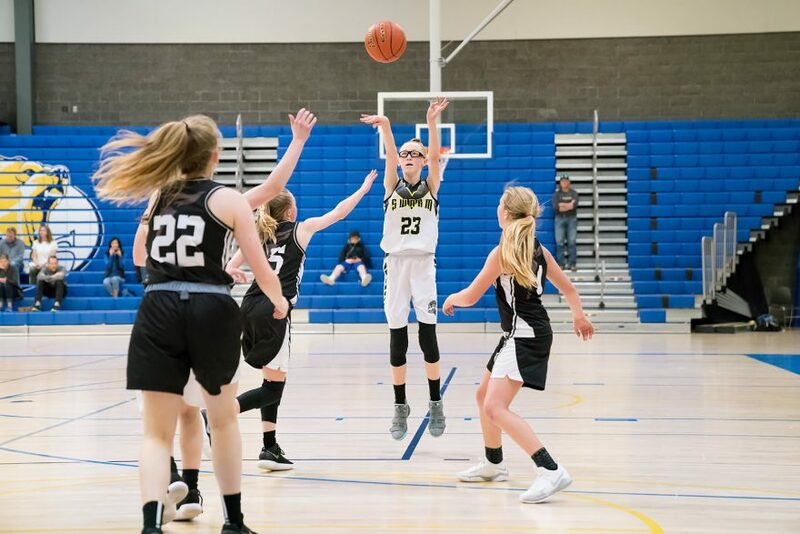 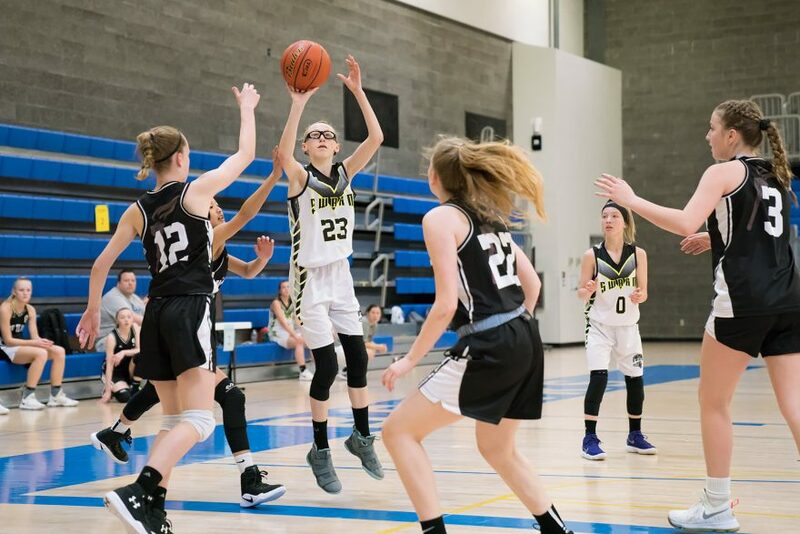 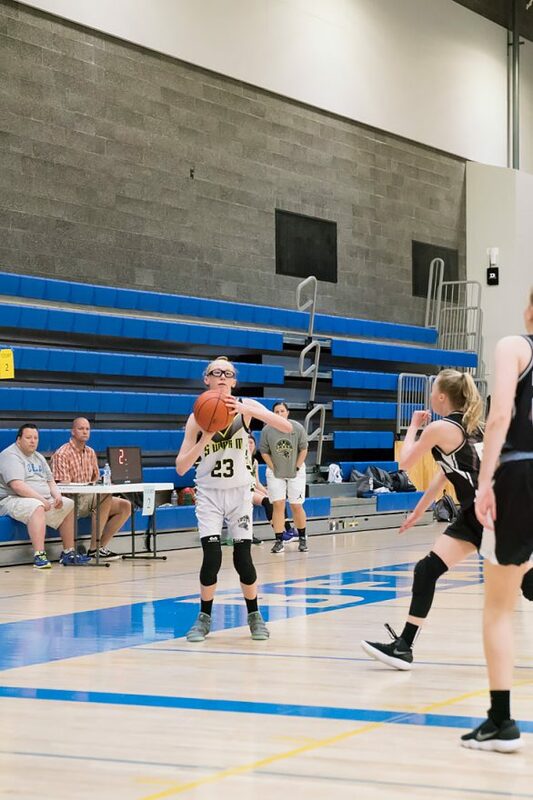 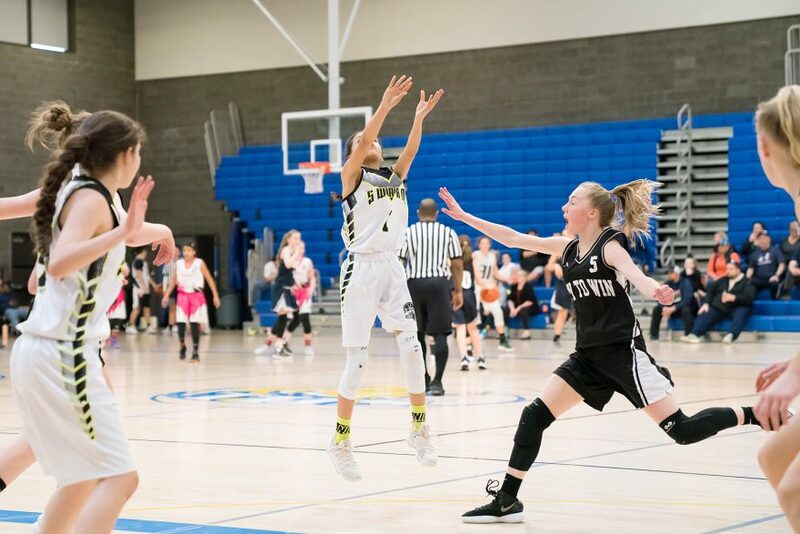 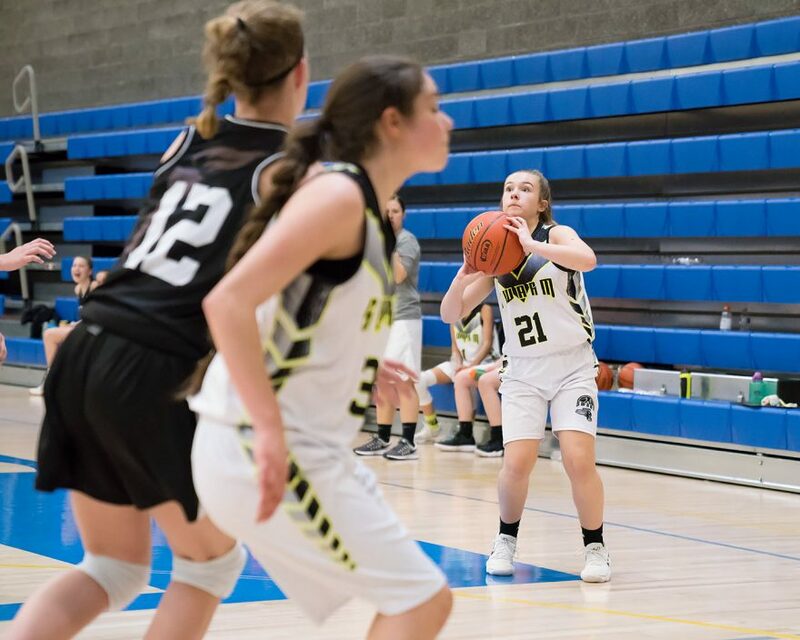 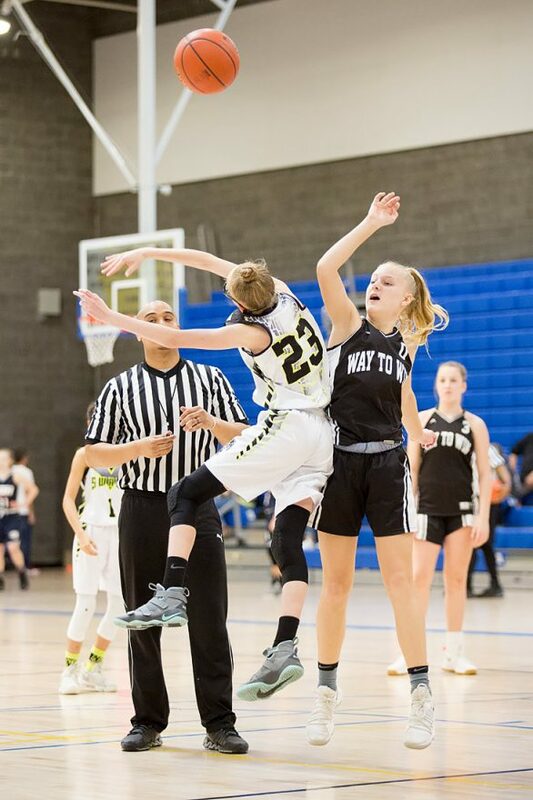 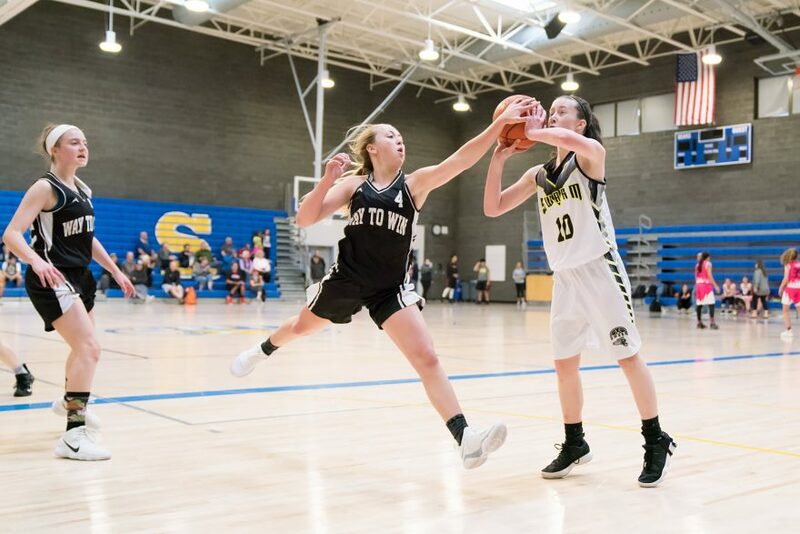 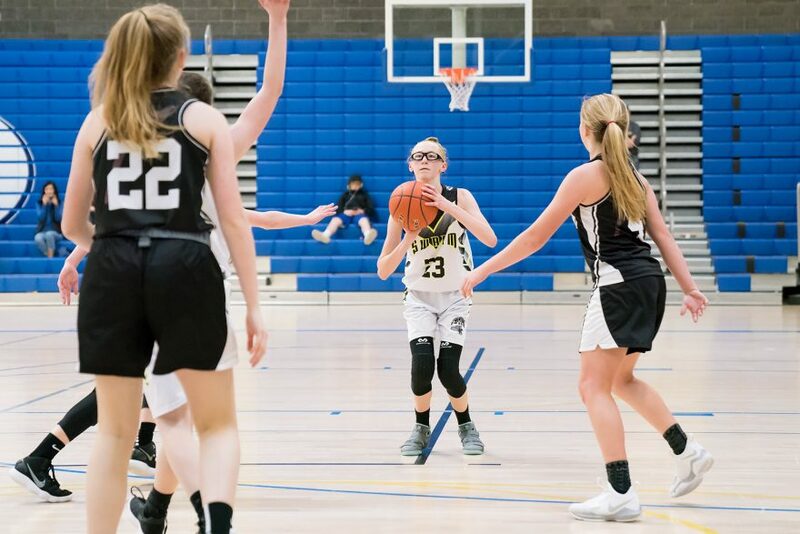 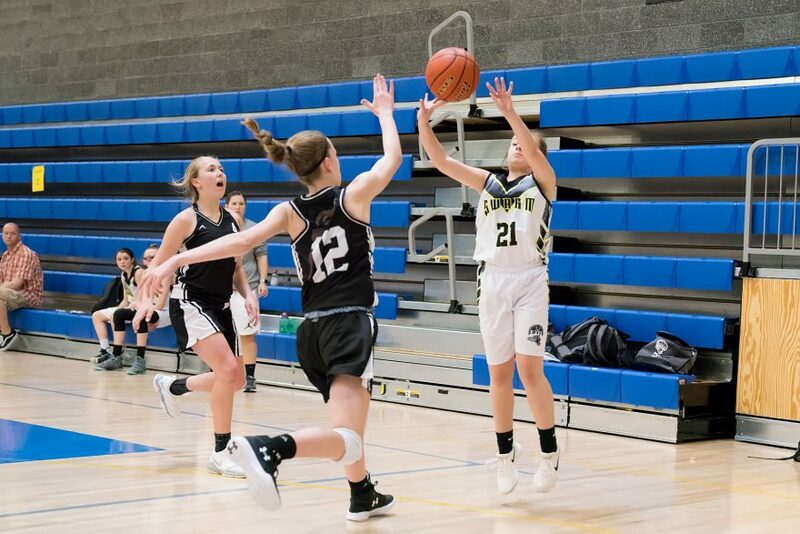 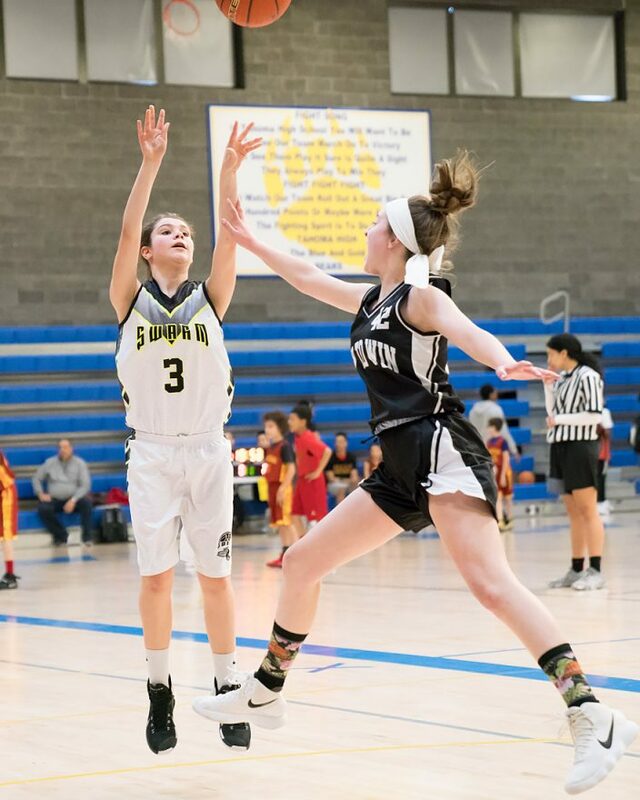 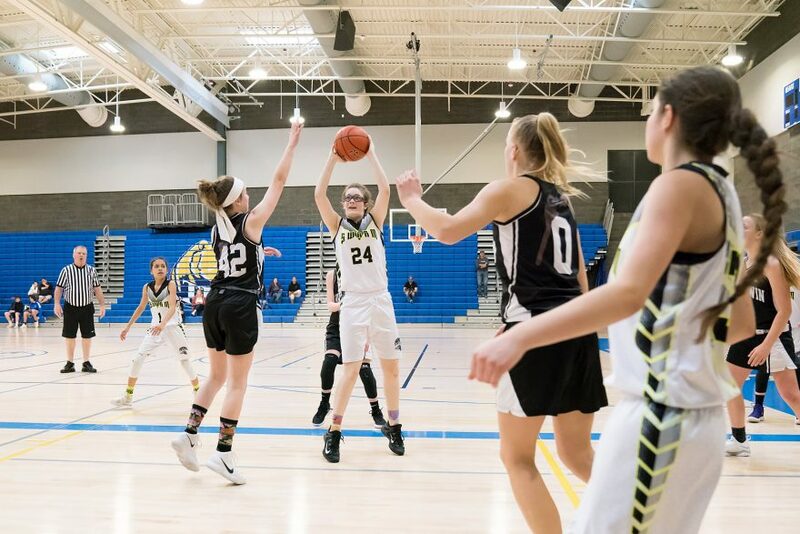 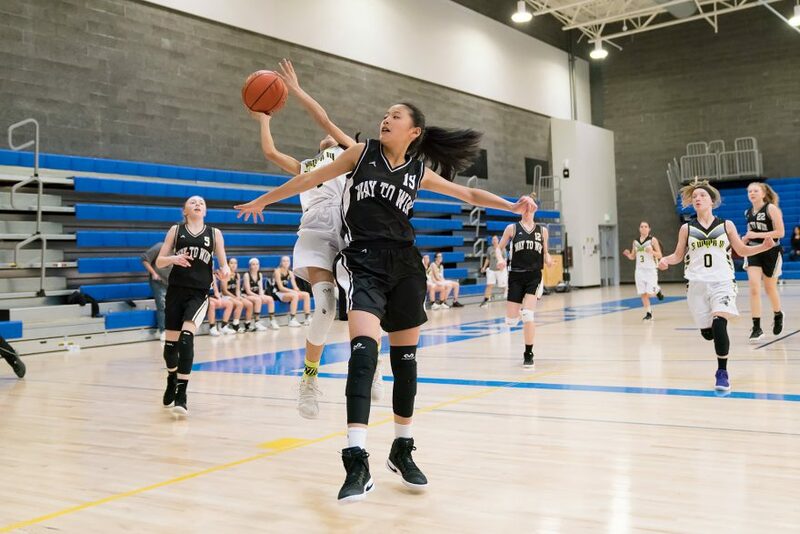 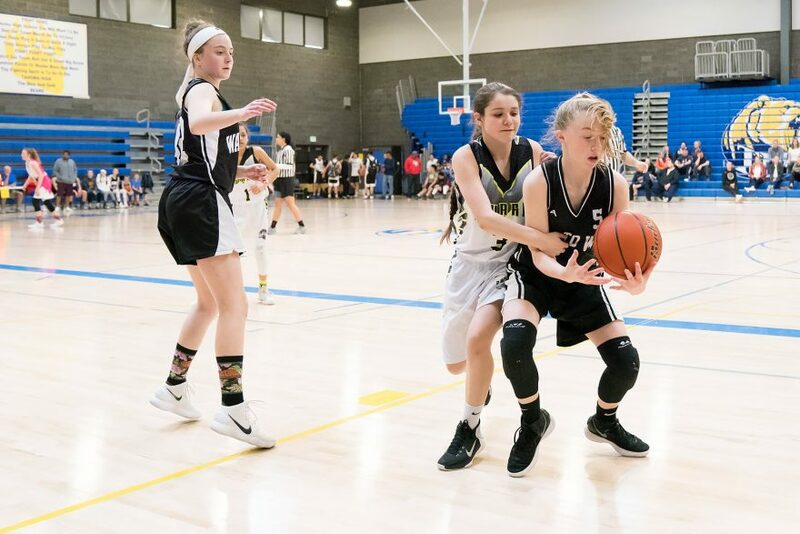 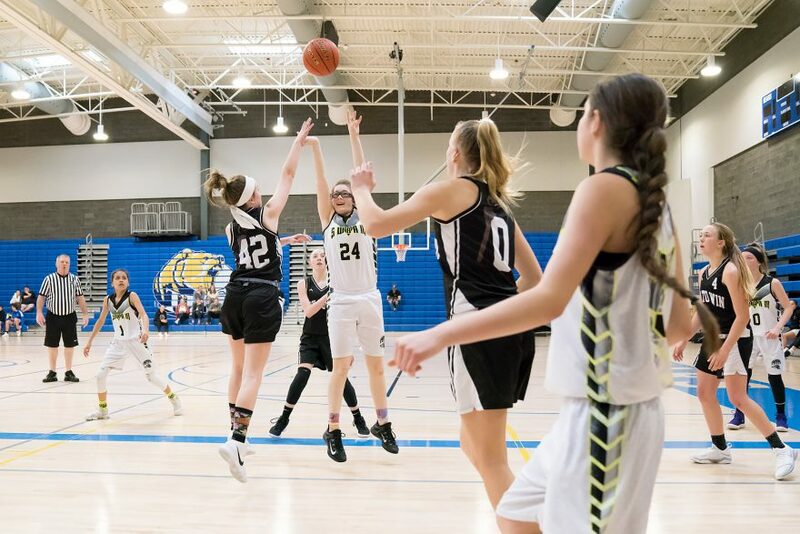 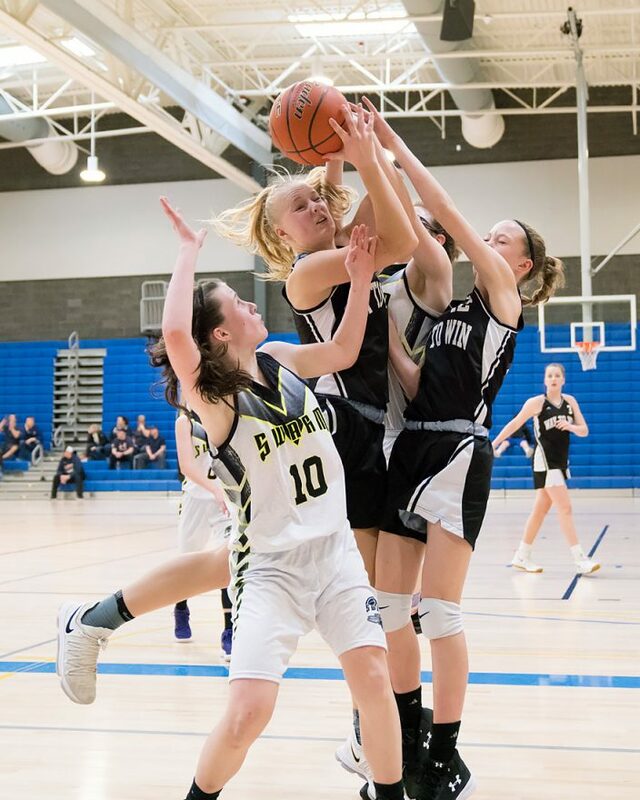 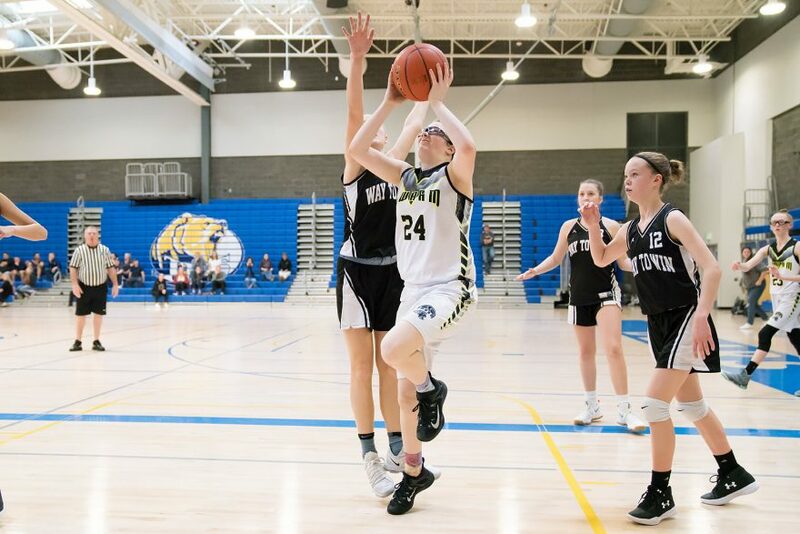 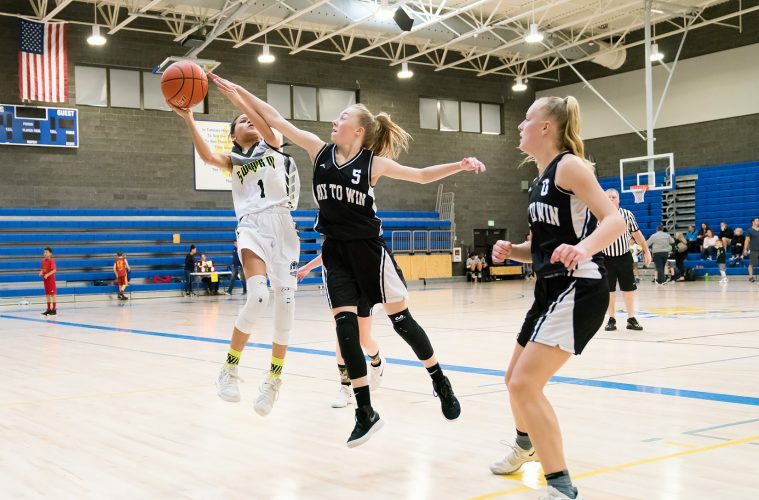 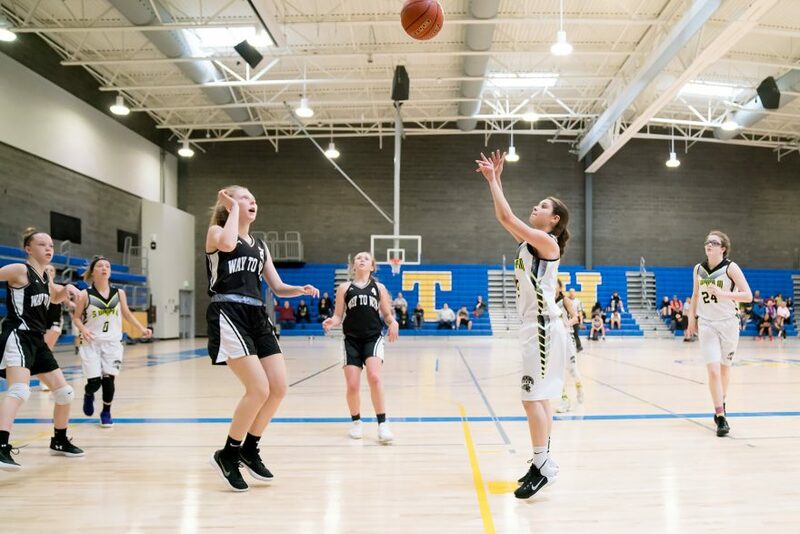 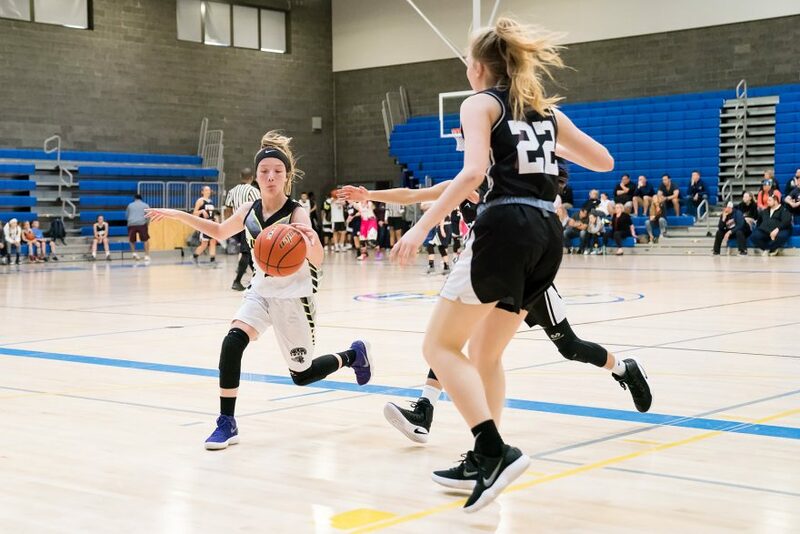 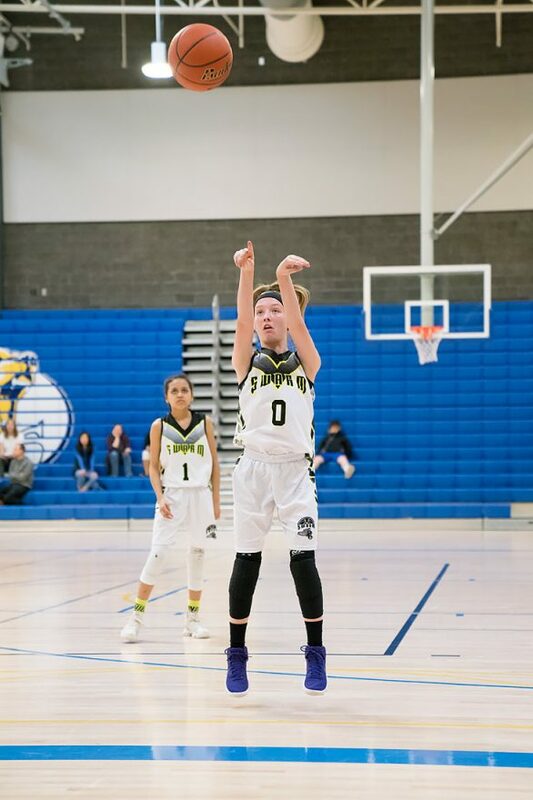 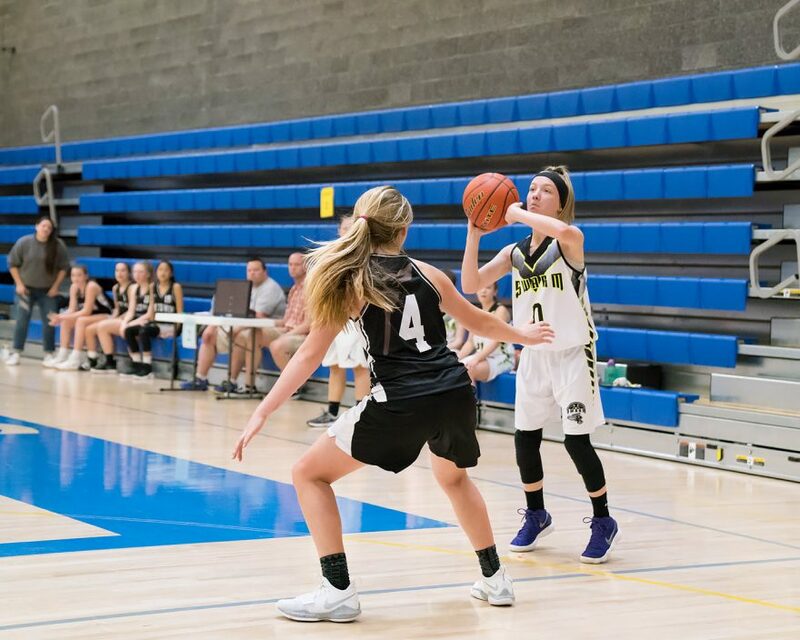 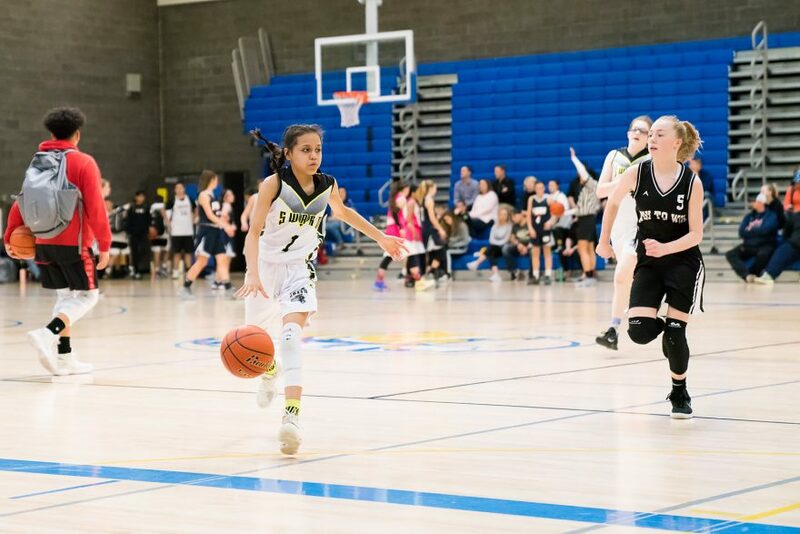 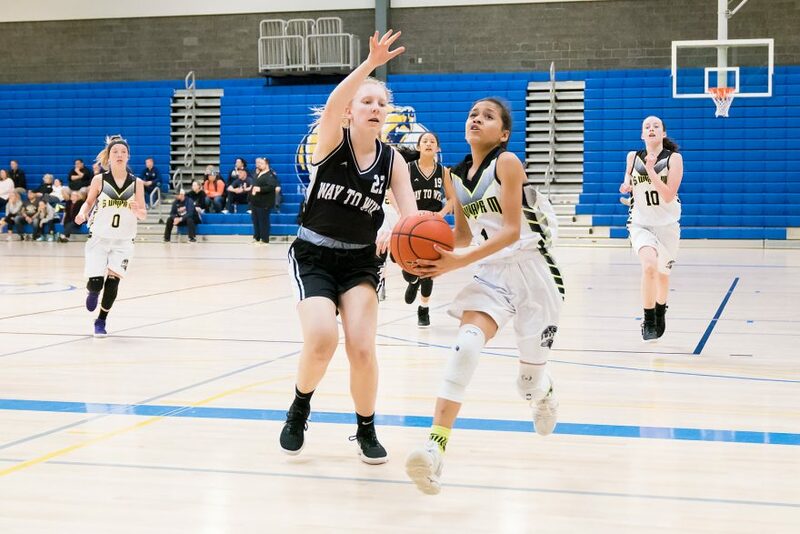 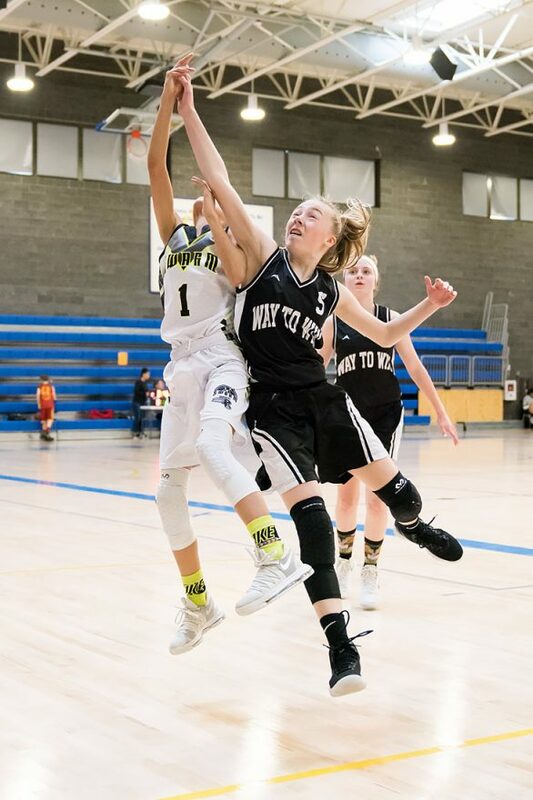 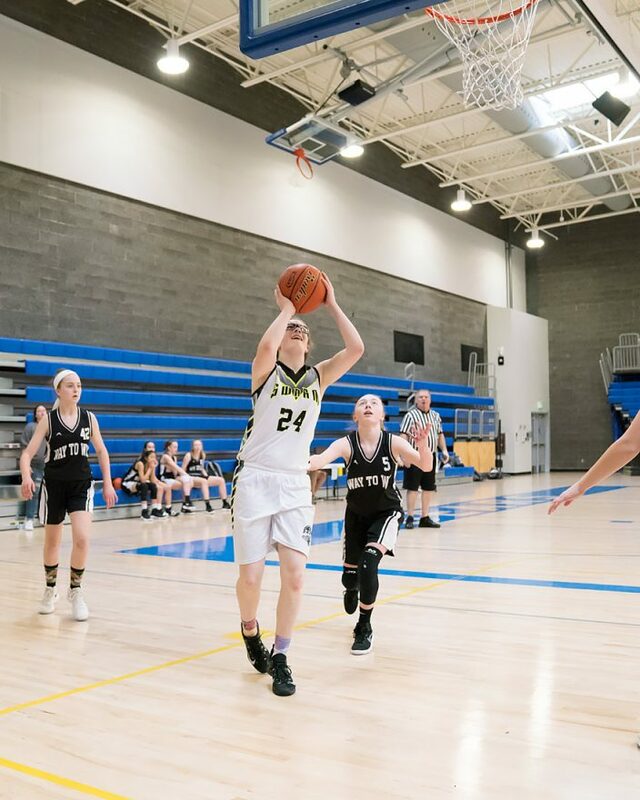 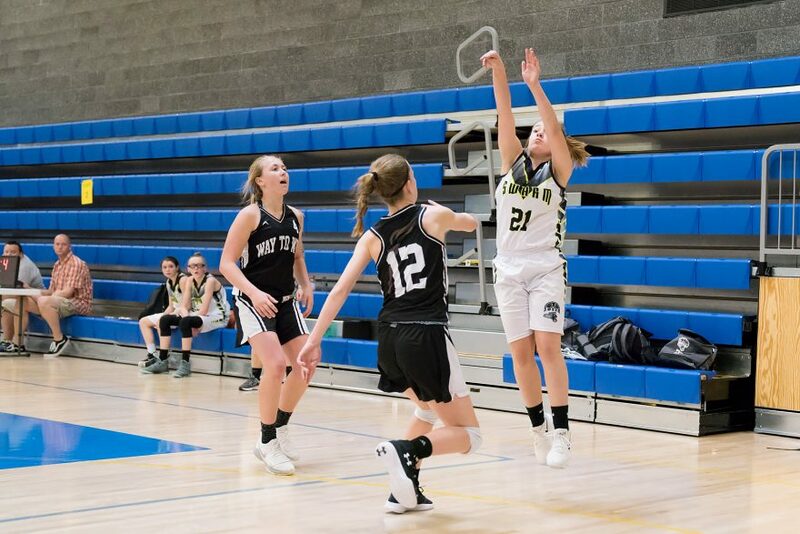 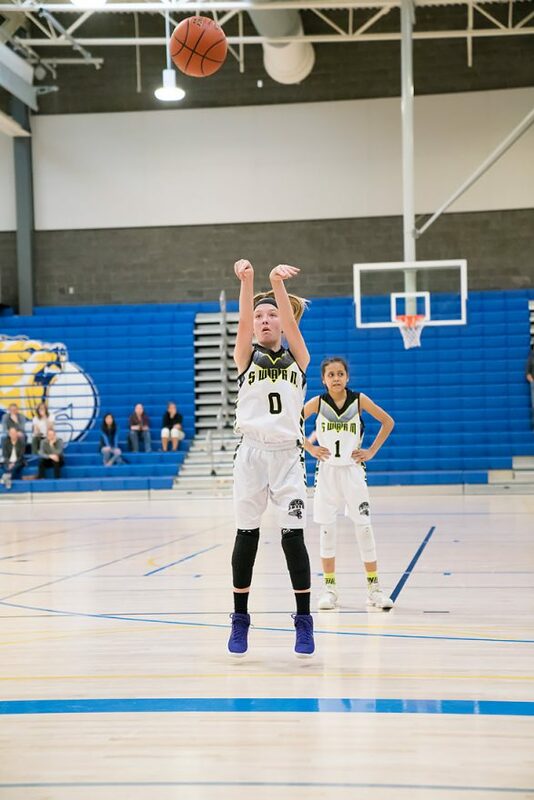 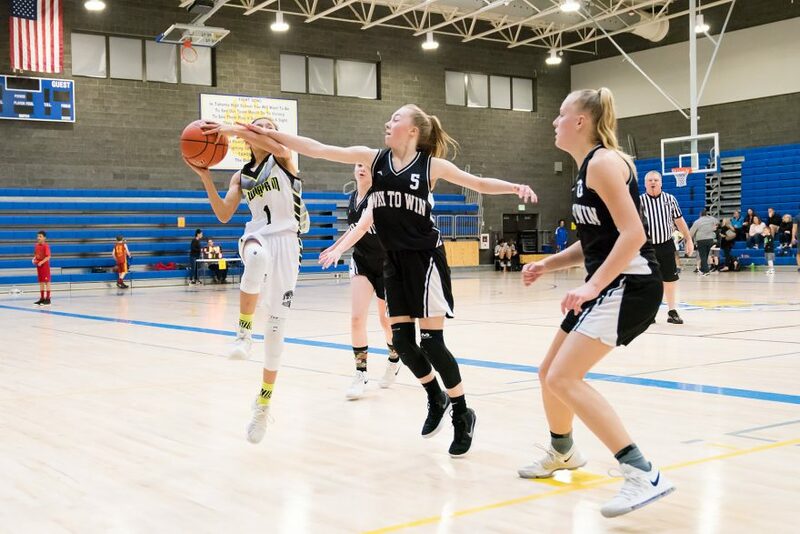 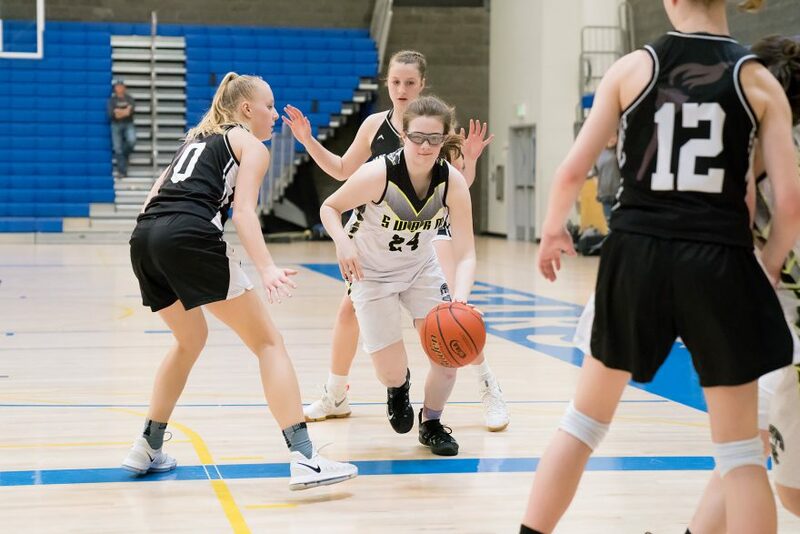 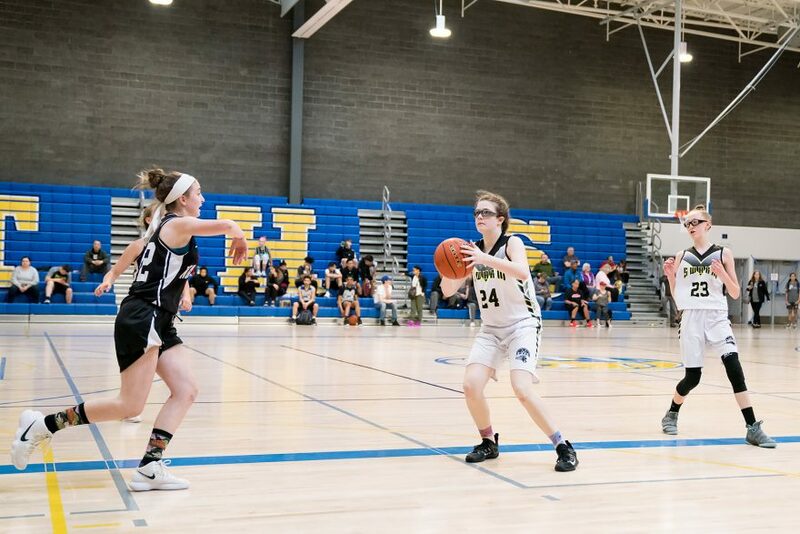 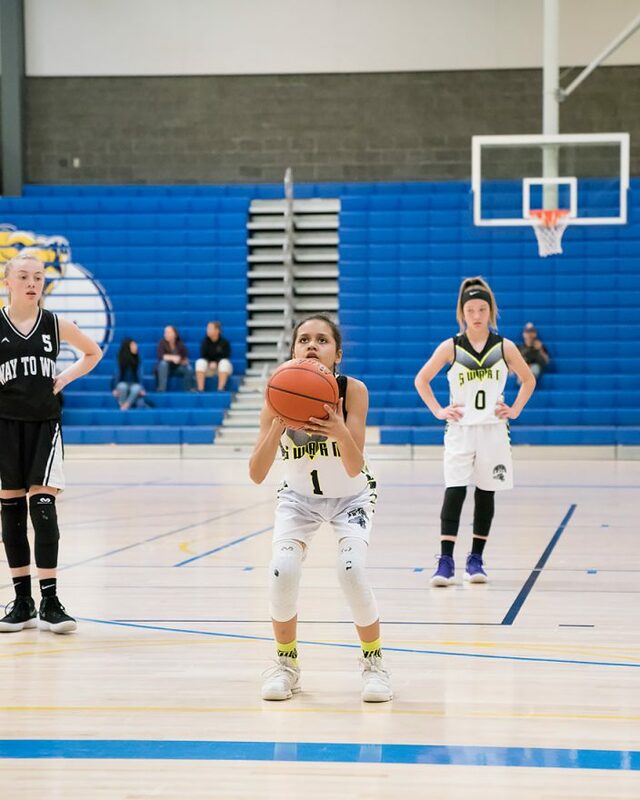 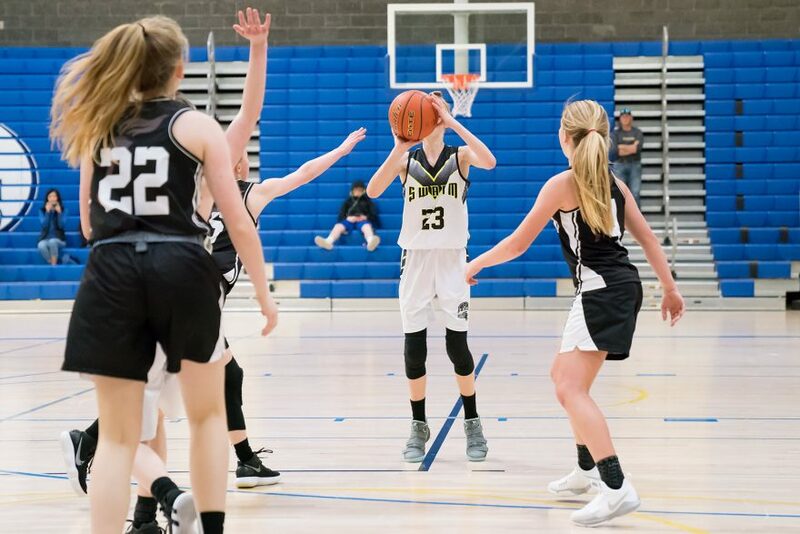 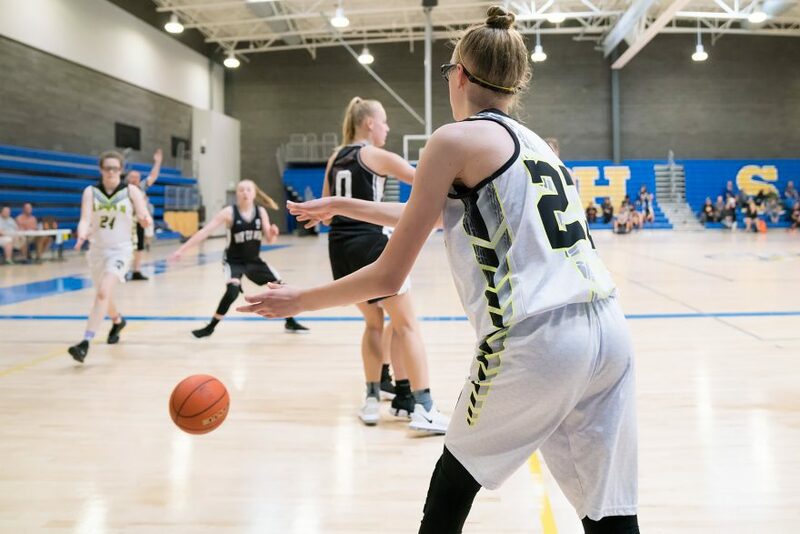 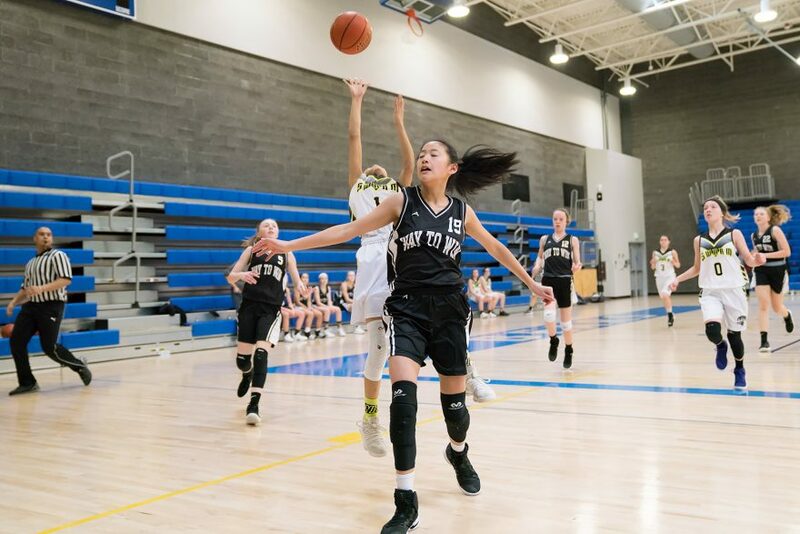 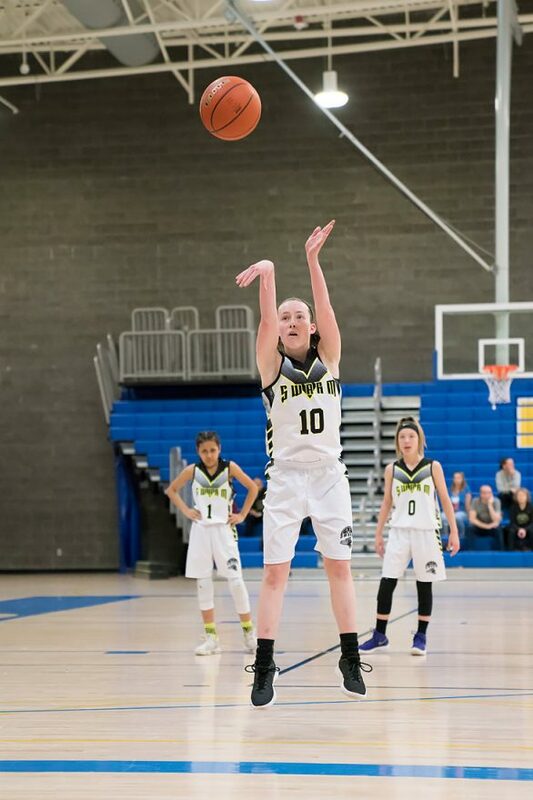 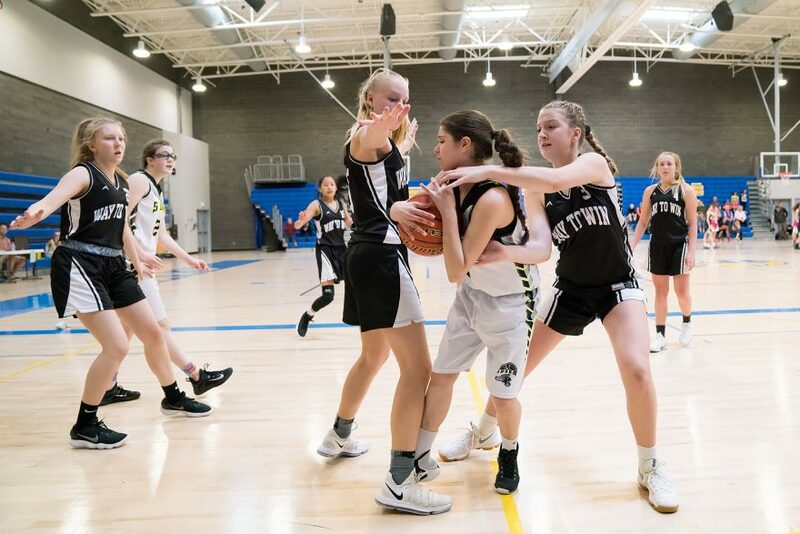 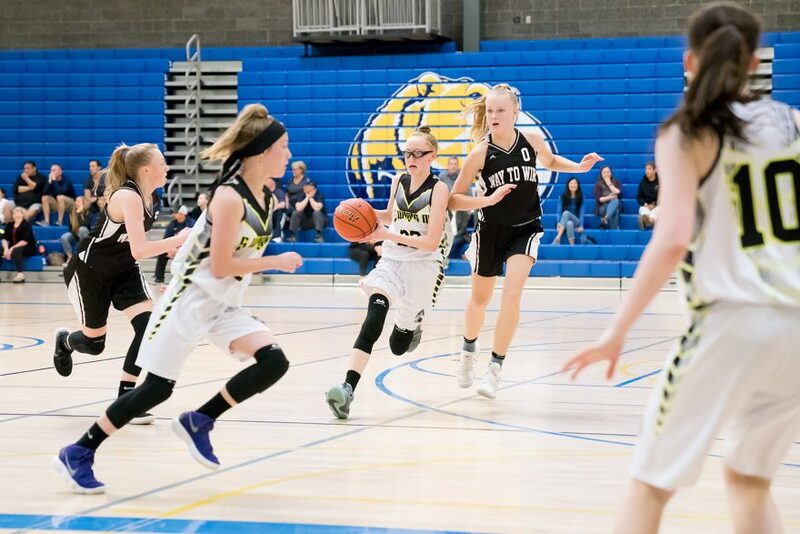 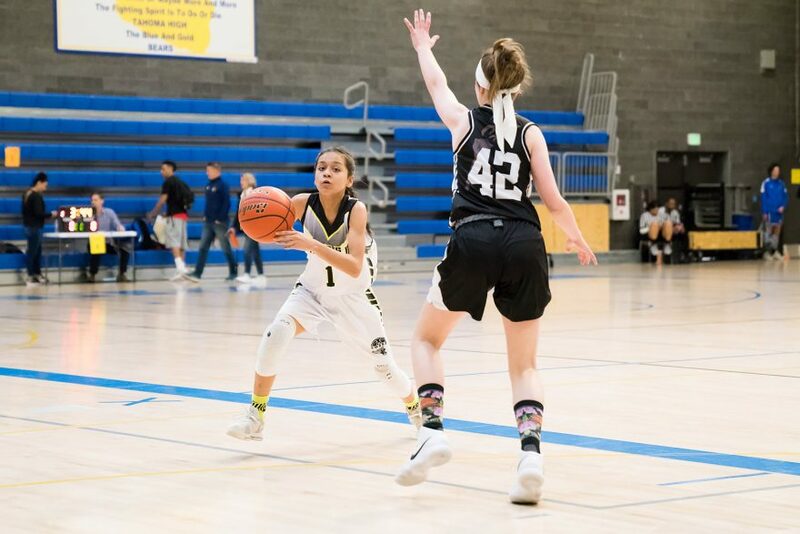 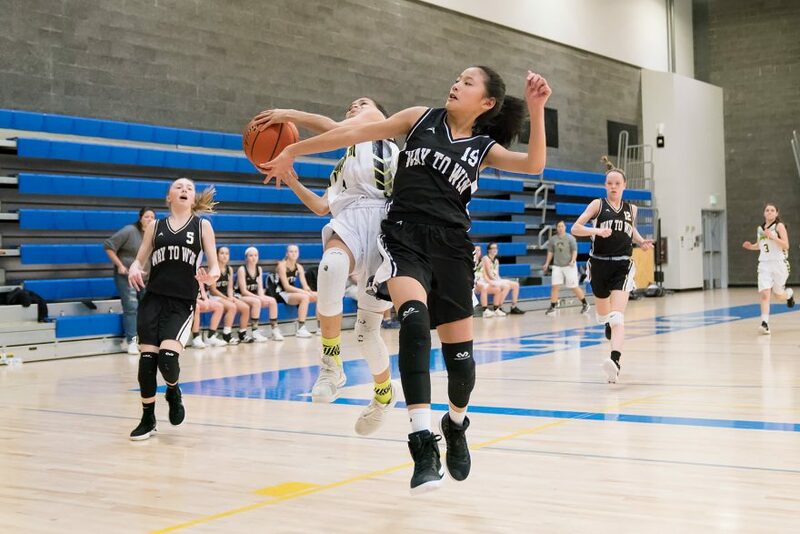 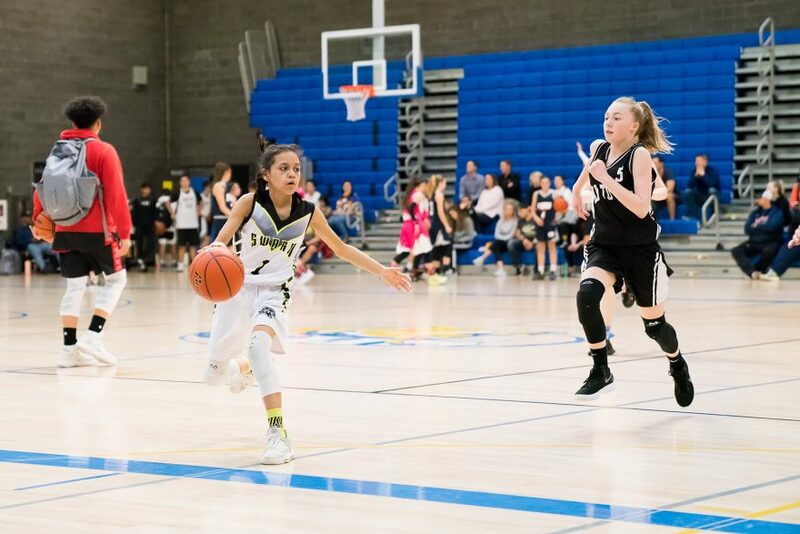 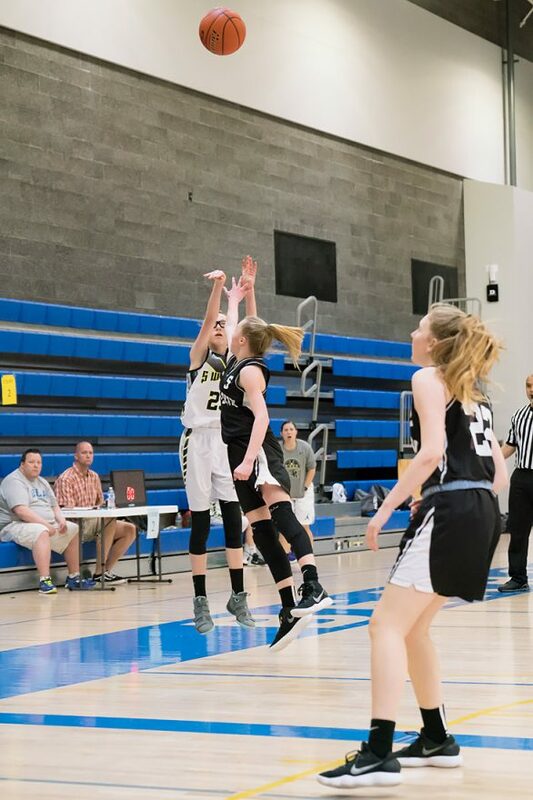 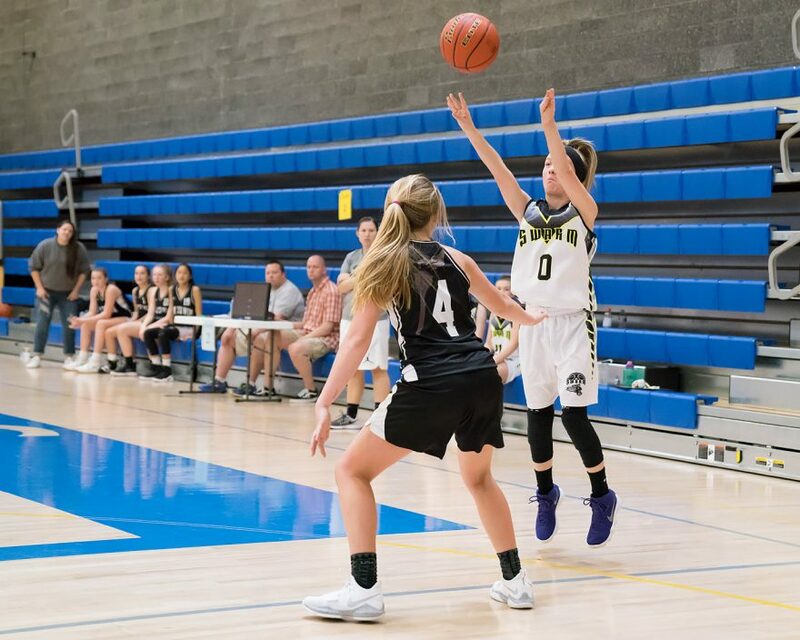 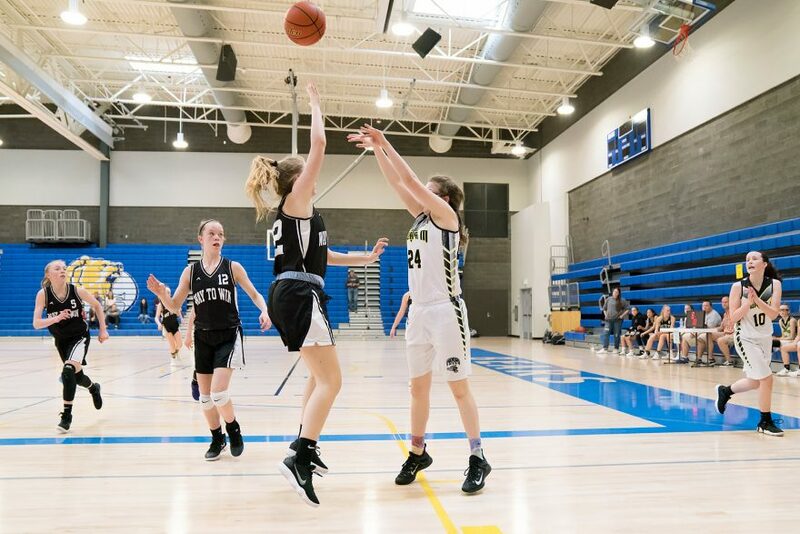 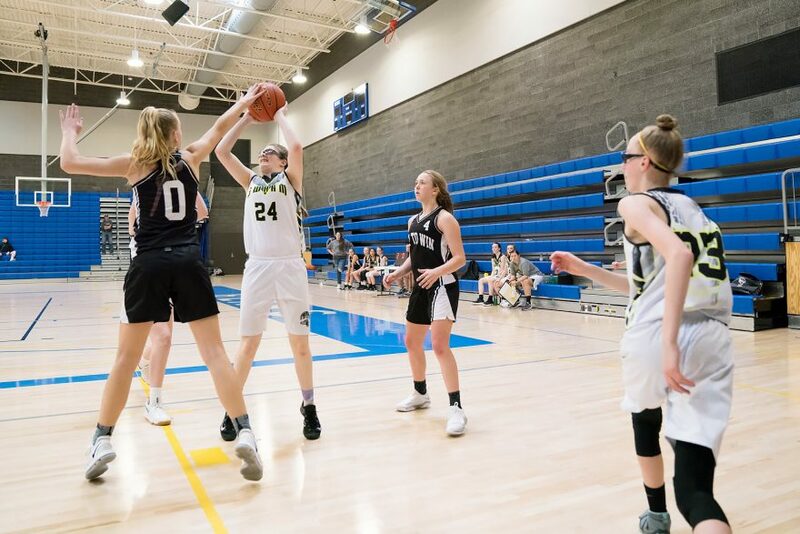 After Sunday morning’s win against EBC, the Swarm returned to the same Tahoma High School court to battle Way to Win (WTW) for a tournament medal. 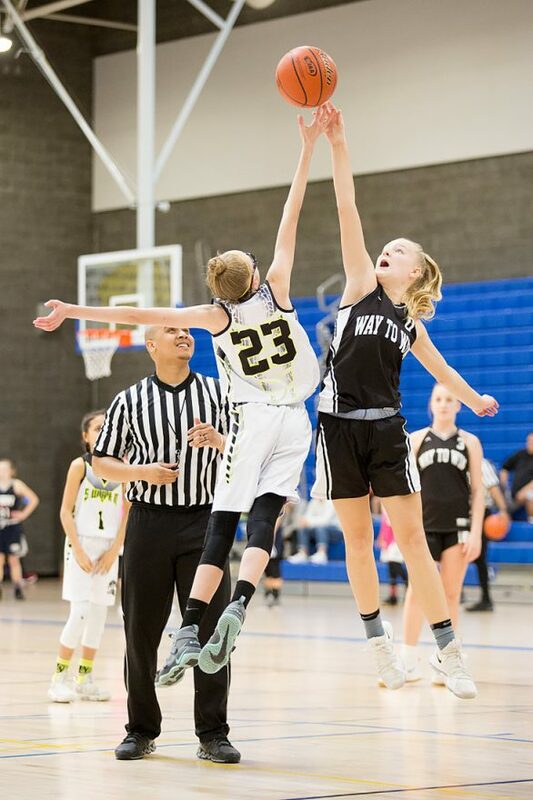 WTW scored first, and followed it up with a free throw for an early 3-0 lead, but the Swarm quickly matched them and pulled ahead after three minutes of play, 3-5.For the next few minutes, the game remained tight: WTW tied the game again on the next possession, but moments later, the Swarm were up again, 5-7. 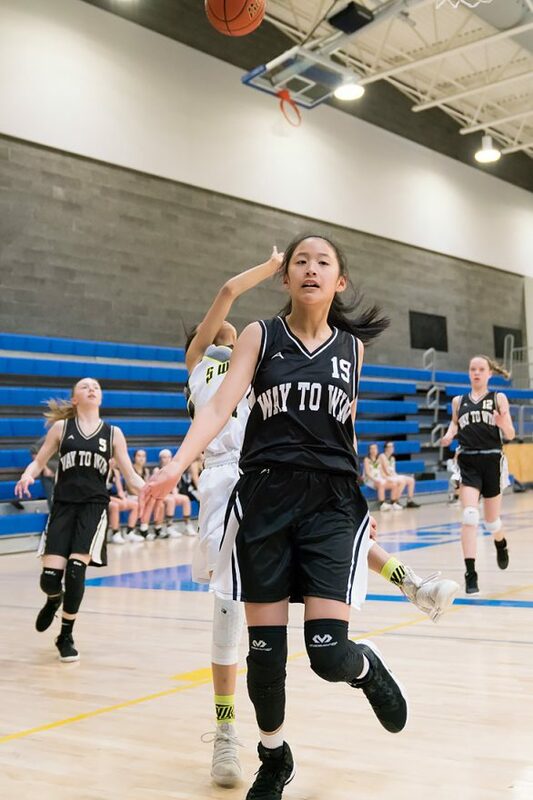 With six minutes elapsed in the first period, WTW tied the game again, and seconds later regained the lead at 10-7. 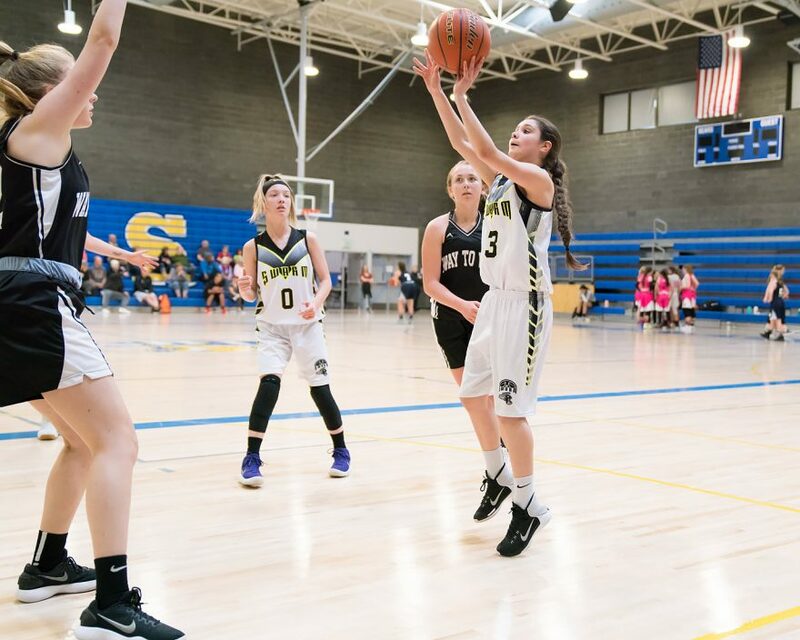 But the Swarm kept it close, still trailing by only three points after 13 minutes of play, 15-12. 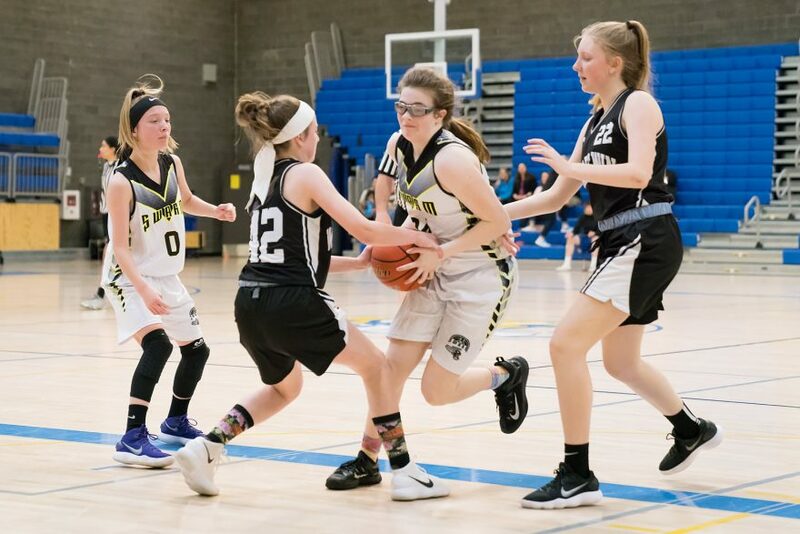 But with only two subs available on the bench, the Swarm started to slow down as the half wore on. 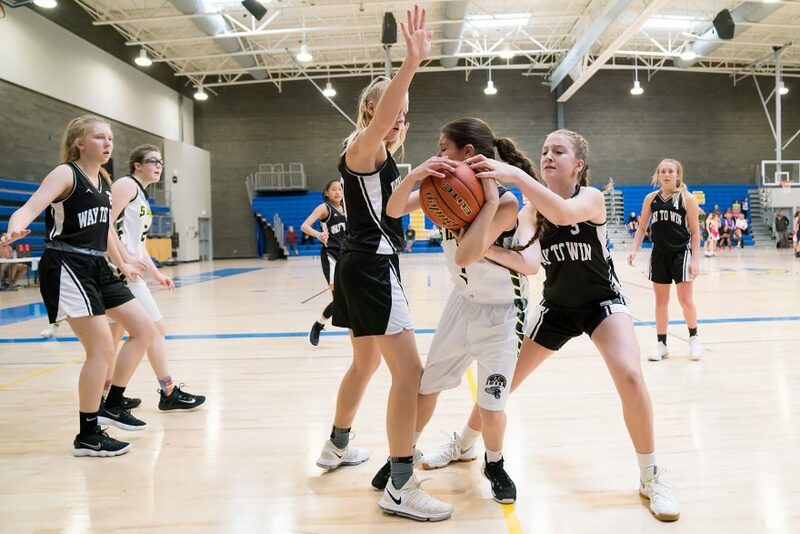 Five minutes before halftime, WTW had increased their lead to five points, and then nine points with three minutes to go. 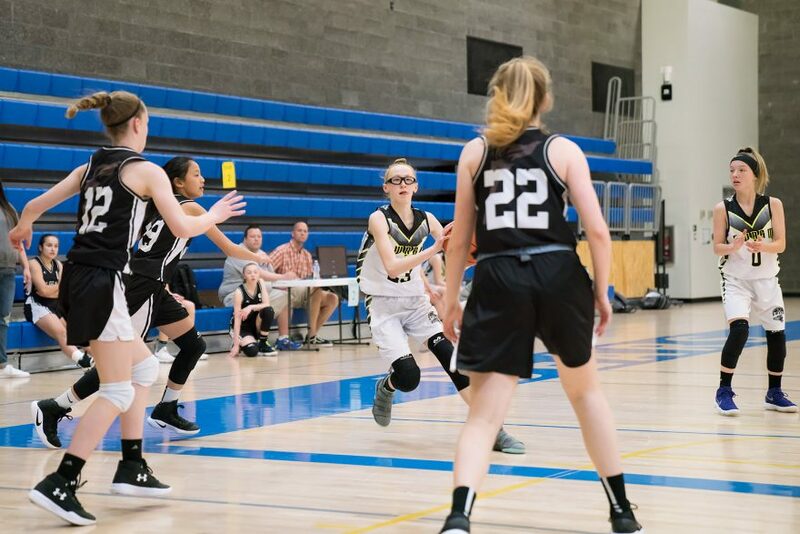 Going into halftime, the score was 31-14, a seventeen point difference.